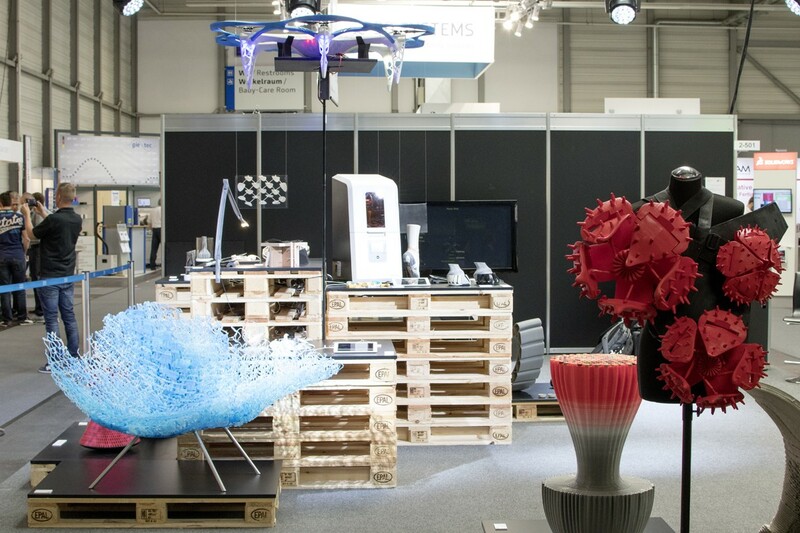 3D Printing supports a range of new technologies and visions. 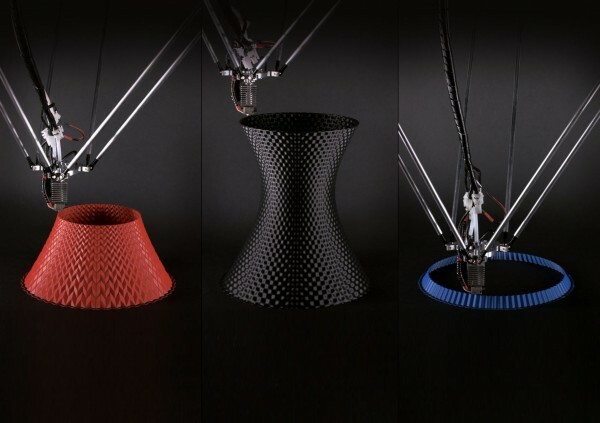 Combining several different manufacturing methods creates innovation. We are standing at the edge of a new digital era of speed, fusion of human and environment, Industrial Internet Consortium and smart factories up to artificial intelligence. 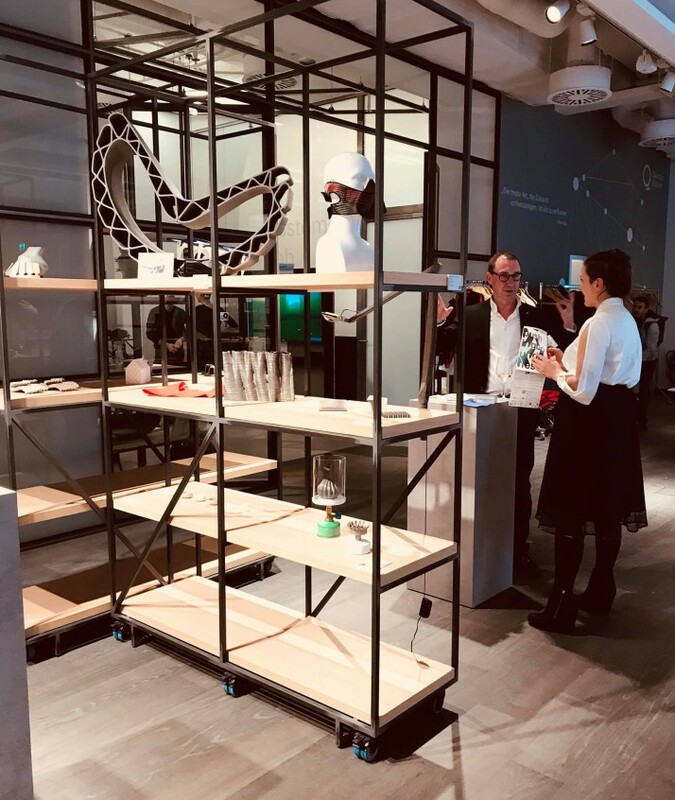 The opportunities seem to be unlimited – already today in our everyday life robotic is as imaginable as fashion that reacts towards its environment. 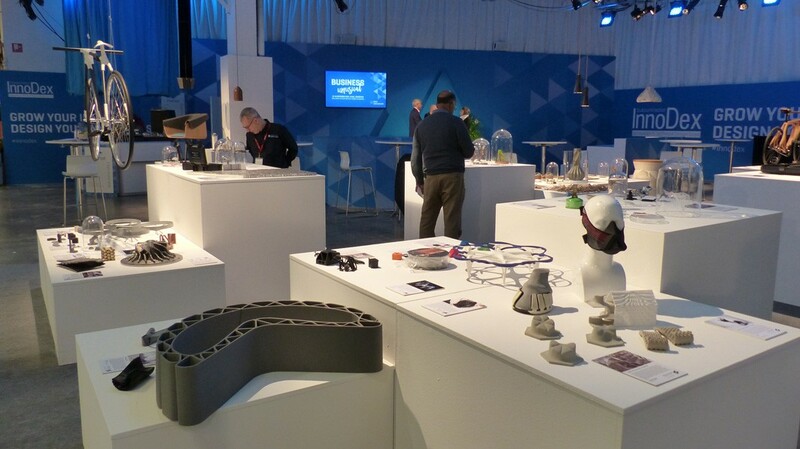 Additive manufacturing technologies give the chance to go forward future and help visions to take shape. 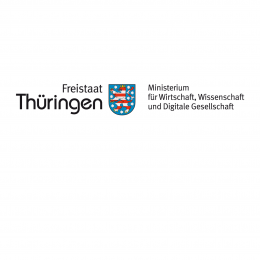 Prize money 15.000 Euro kindly supported by the Ministry of Economics, Science and Digital Society Thüringen. 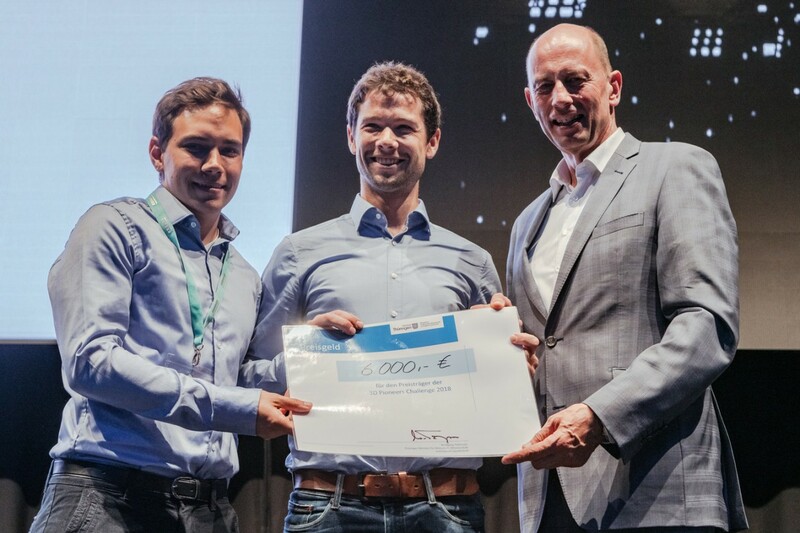 as well as designreport offered online-subscriptions (Englisch or German) for the lucky winners! 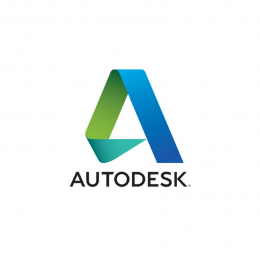 and Autodesk - NetFabb gave Standard Licenses! The Cabin demonstrates the potential of AM on a weather tight, structurally sound building. 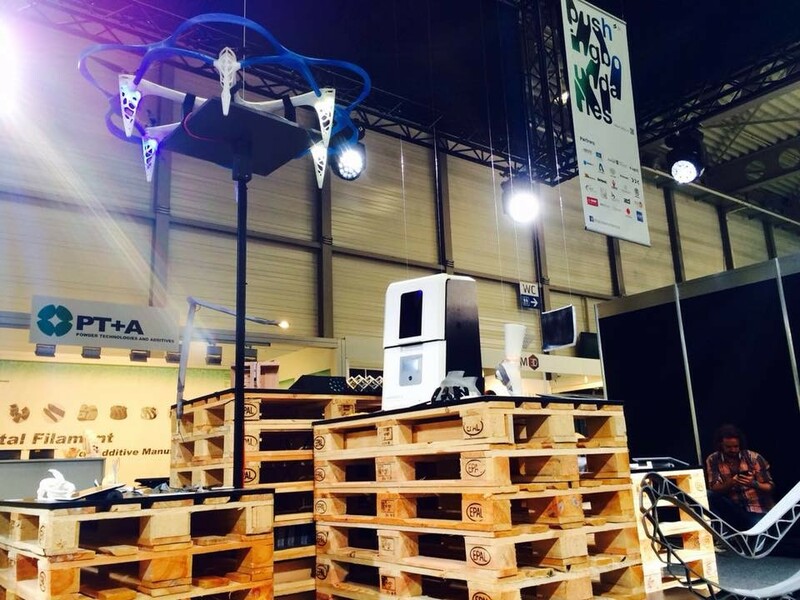 All of the cabin’s 3D printed components are produced in a print farm, located near the site of the cabin. The front facade is composed of 3D printed Planter Tiles to create a living wall of succulents that thrive in the local climate. Different materials are used to craft the tiles, including cement, sawdust, and chardonnay grapes. 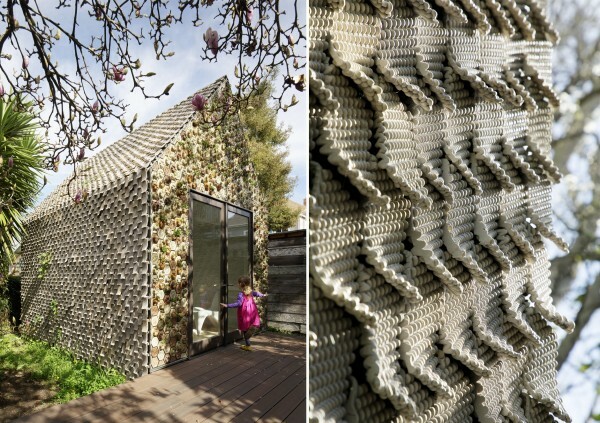 The roof and side facades are clad in 3D-printed ceramic tiles that act as a rain screen. The surface of each tile visually emulates a knitting technique called the seed stitch. G-code is used to control each line of clay as it is printed to create a loopy texture. 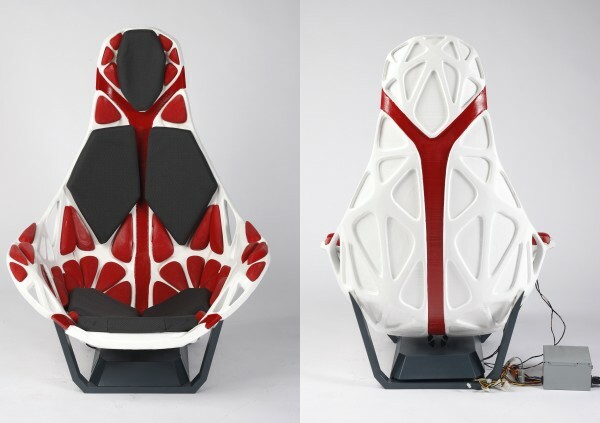 The interior is clad with 3D printed bio-plastic panels that are backlit with LED lights and glow. 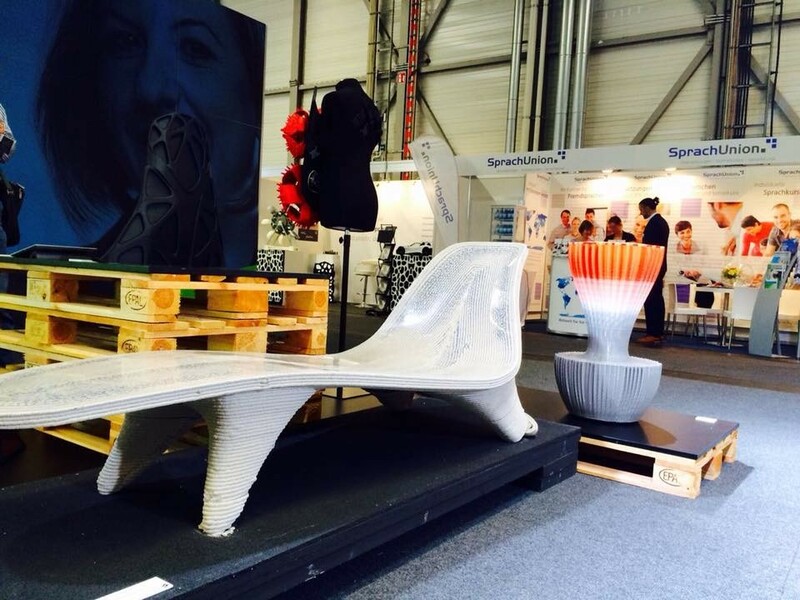 The chairs and tables are printed using materials such as bio-plastic and nylon. Other objects in the interior include a coffee set and wine goblets printed in coffee grounds and grape skins. 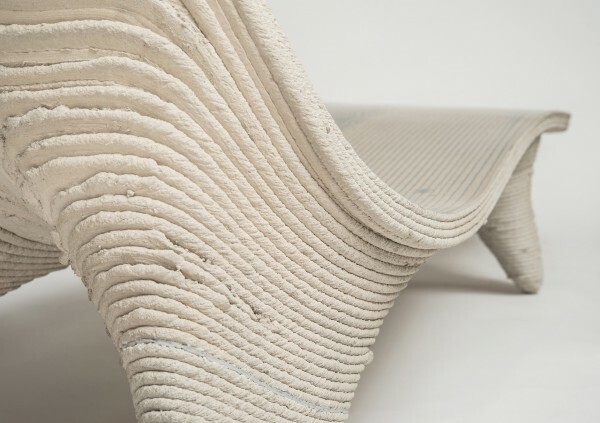 "The cabins beautiful details, its experimental usage of 3D printing and the use of local materials." 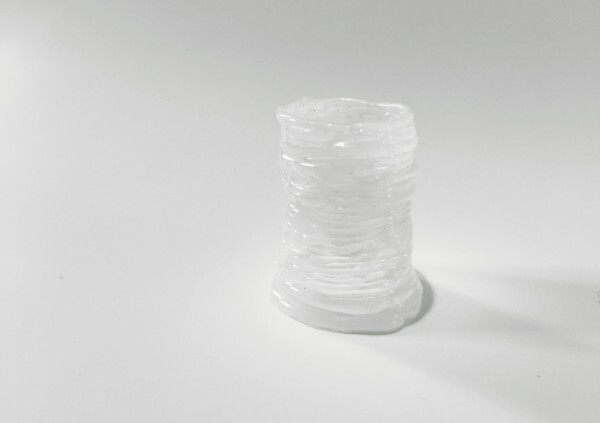 In this project, research was conducted on the production of biobased printing material for additive manufacturing from the renewable material algae. Algae are abundant on our planet and have many beneficial properties. They produce oxygen and consume carbon dioxide. 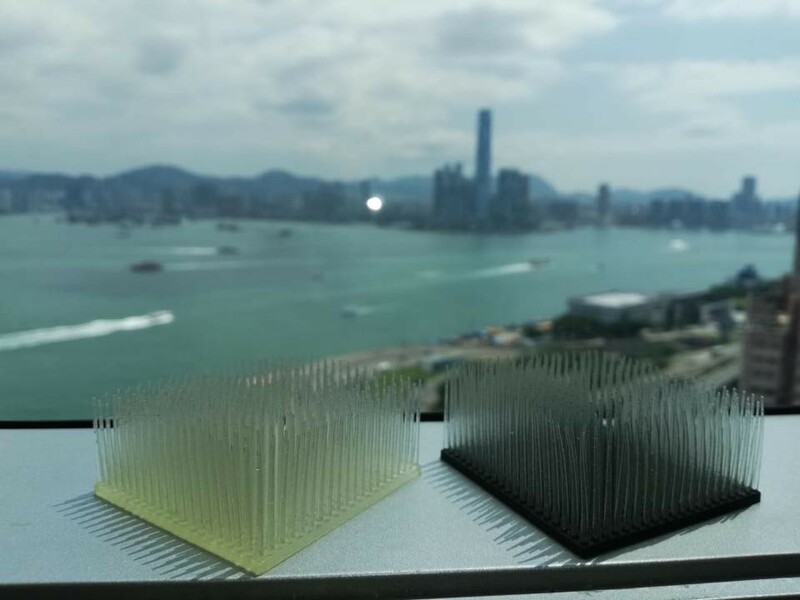 A gel-like material was created from a special substance extracted from macro-algae and used as printing material for the 3D printer. 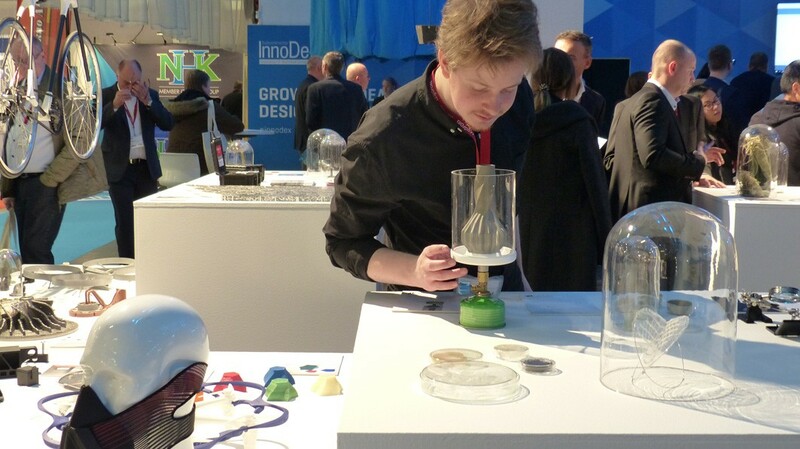 The algae-based material has the smart property of reacting to moisture, thus embodying the notion of “4D printing” and “self-assembly” as Skylar Tibbits interprets it, developing systems that change with time and temperature/ moisture. The movement of the material was shown and the principle clarified in several models with different mechanisms. Flexa is a sports-bra, which is individually fitted to the breast by a body scanning method and 3D print. Two different textures allow flexibility on certain spots and support on others. By the scanning method body measurements are being captured. 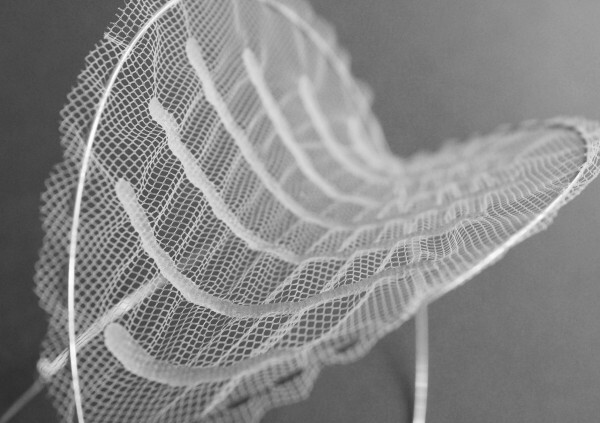 During the process an individual pattern is designed and stained with supporting structures employing 3D technology. Colors are freely eligible and various combinations are possible. Especially in high-competitive sports we anticipate to push the athletes to even better performances through the use of new technologies. 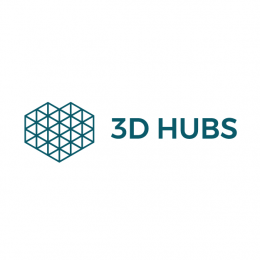 Gijs van der Velden, Arup, Autodesk, ArcelorMittal, ABB, Heijmans, Lenovo, Airliquide, AMS Institute, TU Delft, Gemeente Amsterdam & many others! 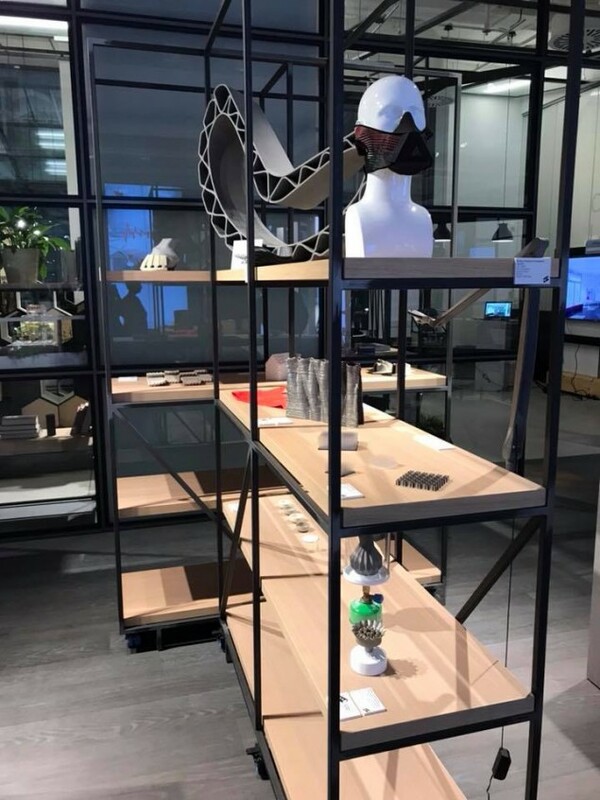 What started as a visionary moonshot project ends in 2018 with a fully functional pedestrian bridge for the city center of Amsterdam, completely 3D printed in stainless steel by the robots of MX3D. 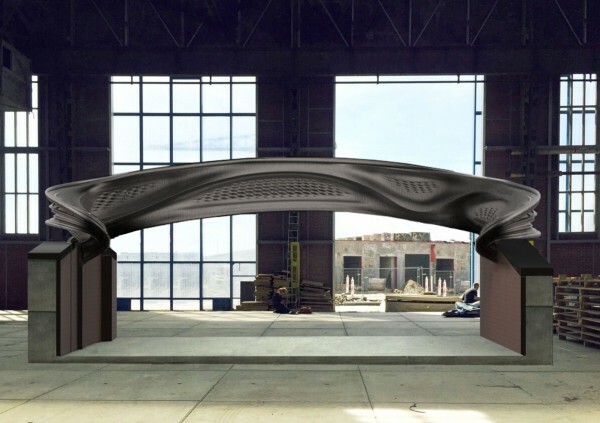 Designed by Joris Laarman Lab, the bridge serves as a metaphor, aesthetically connecting ancient Amsterdam to a new age of possibilities. 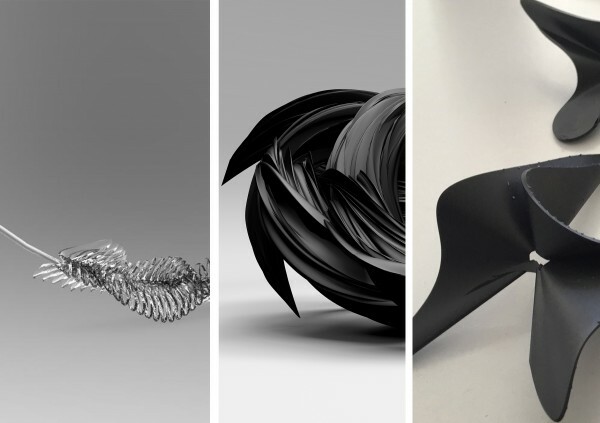 After understanding the limitations of the process, the material and acceptance procedures slowly a new digital design language evolved. The span of the bridge is > 11 meters. The frame of the bridge consists of 8mm thick tubes. 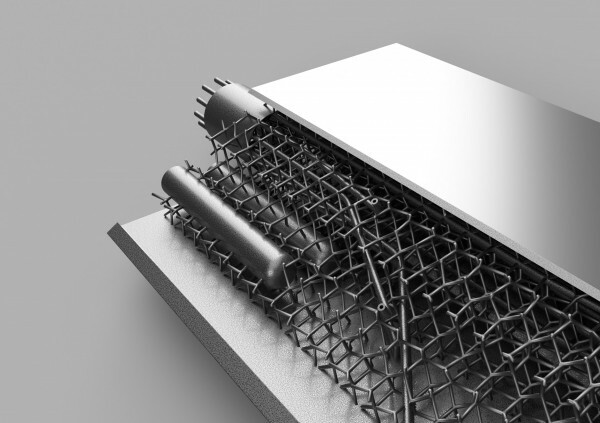 In the handrail, which is part of the construction, two 3 mm plates regularly connect, creating a strong 'waffle' structure. As the two bridge heads are not perfectly aligned the bridge curls towards the other side in an S-shape. The force lines created by this shape dominate the structure, both structurally and visually. 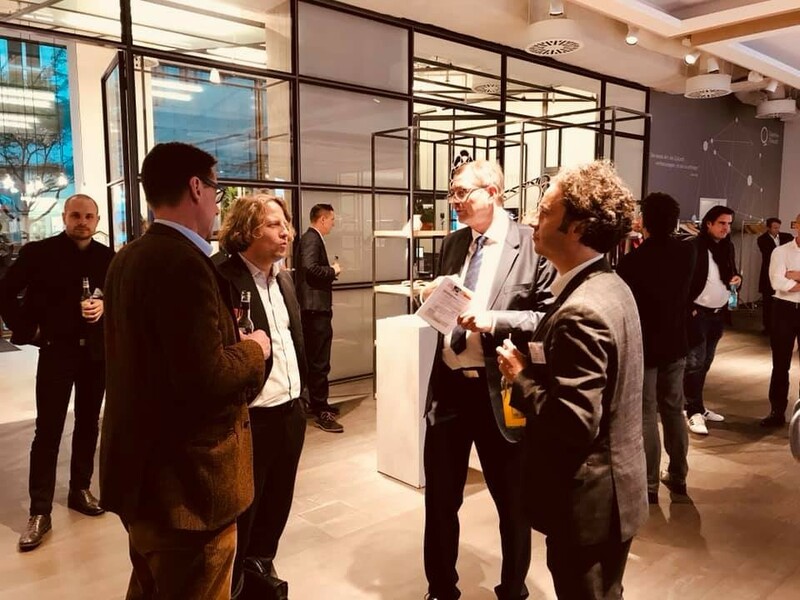 The project was only possible because of the collaboration with many enthousiast experts. Peakboil is a mobile kettle containing integrated- and gas driven camping stove. This product helps alpinists to boil water or melt snow to regulate their need of liquids and food. Alpinists often take instant food (preparation through infusion of boiling water) on their exhibitions as it is of leight weight and does not fill much space in their backpack. Peakboil also claims to this attributes due to it’s lightweight design and the high integration of functions. The integration of the heat source into the heating media reduces the energy losses to the environment and external effects such as wind compared to other products available. 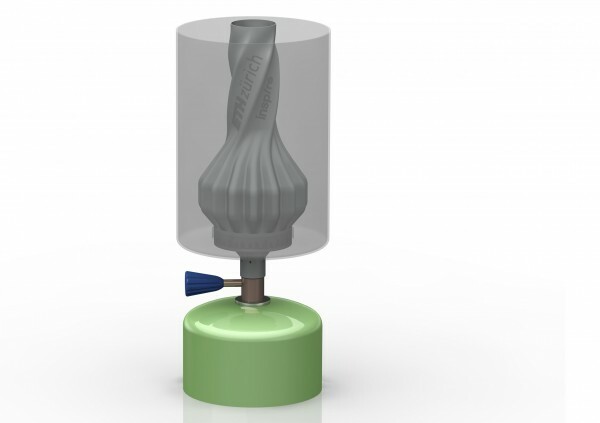 The core of the kettle is a additively manufactured stove. Due to additive Manufacturing (AM) it is possible to produce thin walls (0.4 mm), a broad surface and an adapted nozzle design to save energy. 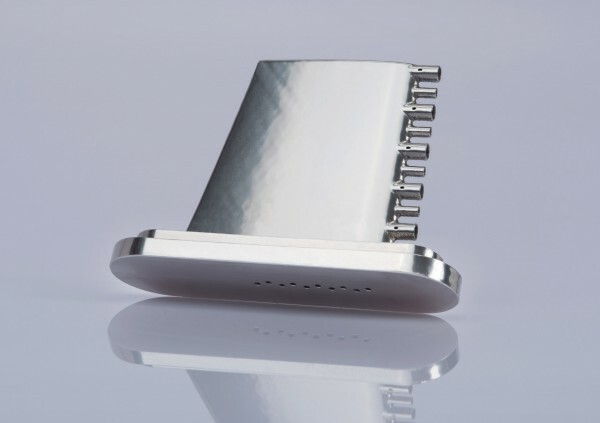 In addition, the additive Design allows a high material efficiency. 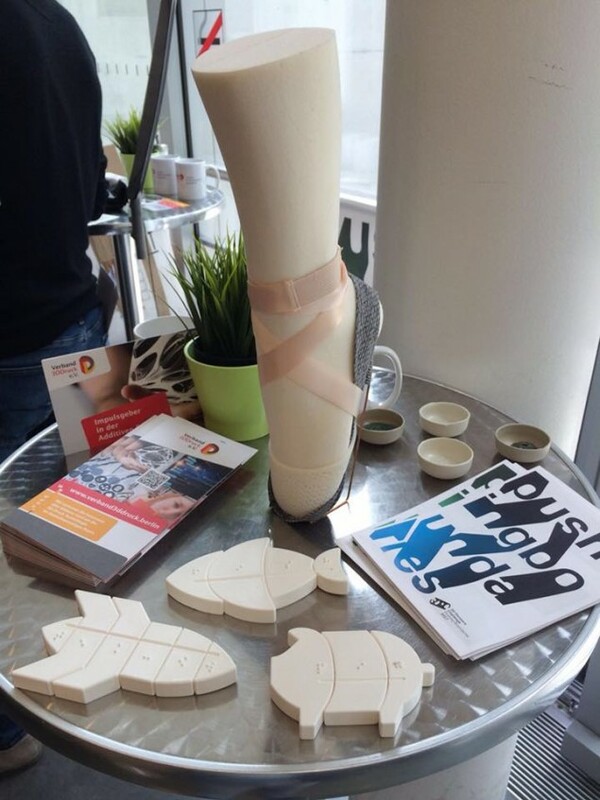 It is a pointee shoe for professional ballett dancers, individually adapted with 3d scan in extended foot position and ergonmical improved through 3D printed Hexagonstructure and a special sole technique (patent Mike-Martin Robacki). Cuts on the bottom of the sole make it one-side-flexible and through the shape of the cuts adjusted to the dancers stance. The hard and necessarily fitting parts are printed whereas a taut band structure holds the shoe extremely tight to the dancers foot. For stage performances it is possible to cover up the Basic shoe with an extracted classical-looking Satin overlay, because it frays easily. All that extendes the durability of the shoe and lowers the costs enormously, since professional ballerinas use up to two pairs of classical pointeeshoes per week. 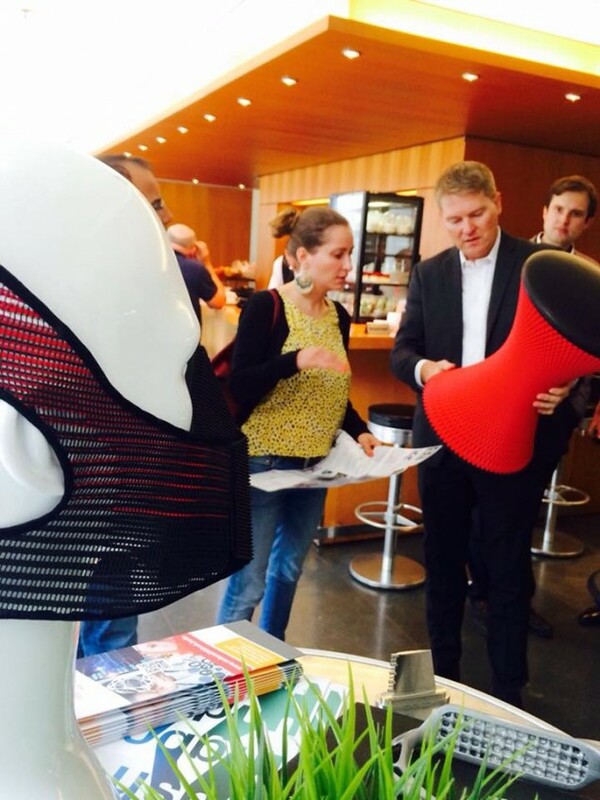 Braunschweig University of Art teams up with AUDI AG to develop concept of breathing car seat. 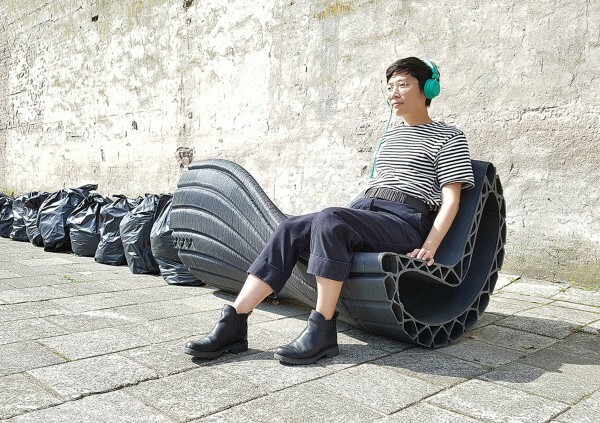 The Digital Chaiselongue emerged from a collaboration of Viennese product designer Philipp Aduatz with Austrian start-up company incremental3d. 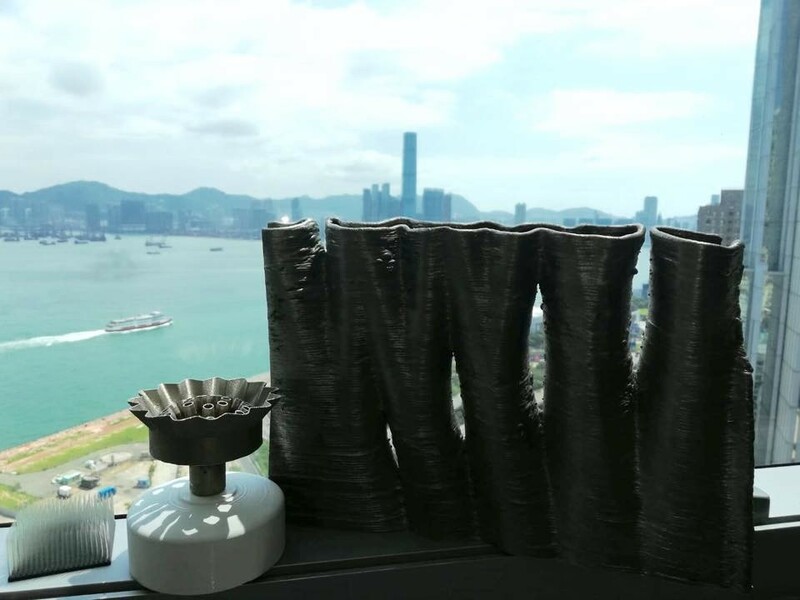 Print Your City transforms the cities’ plastic waste into street furniture and equipment with robotic 3D printing and citizens’ involvement. 3D-printed enclosure for high-end amplifiers emphasizing the necessary cooling surface as main design element. 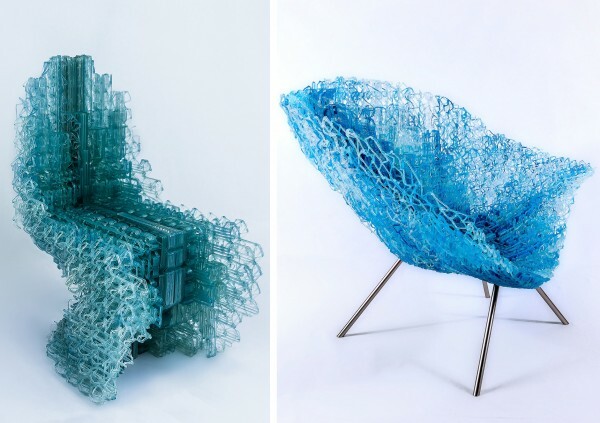 VoxelChair and Ogonoti chaise-longue are designed using a new design software specifically developed for robotic spatial 3d-printing. 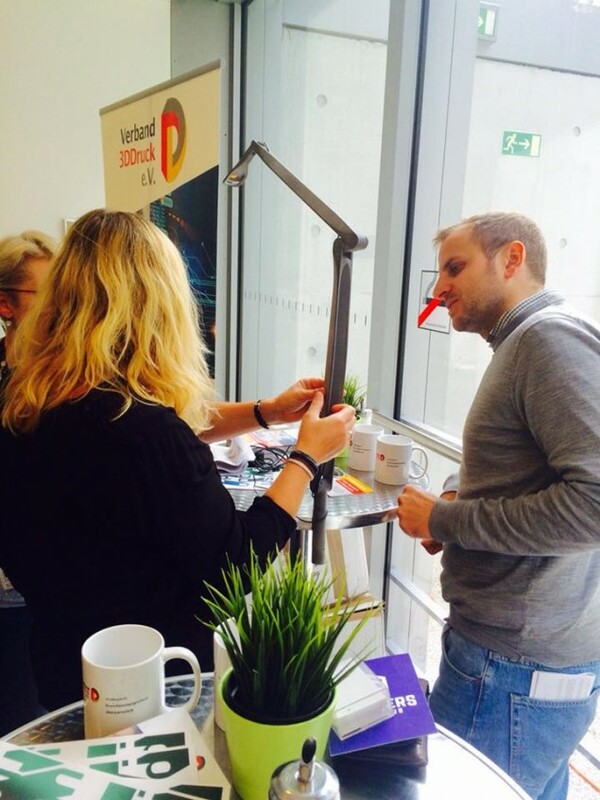 As a stool Hychair supports everyone in his agile way of working between sitting and standing. Our lamp was born from the dance. It embodies the light of a fleeting moment. 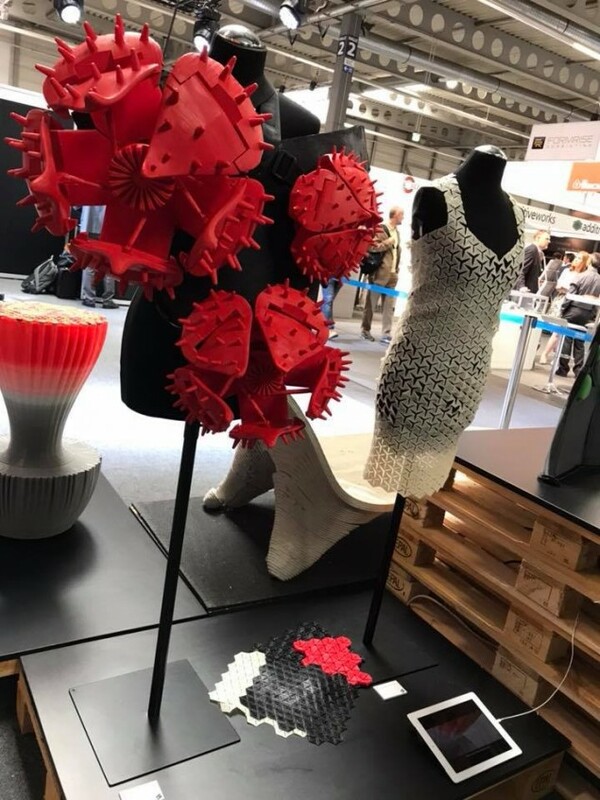 This work explores the possibilities of multi-material 3D-printing in the context of auxetic geometries and nature-inspired surfaces. Pointeeshoe for professional classical Ballett dancers. 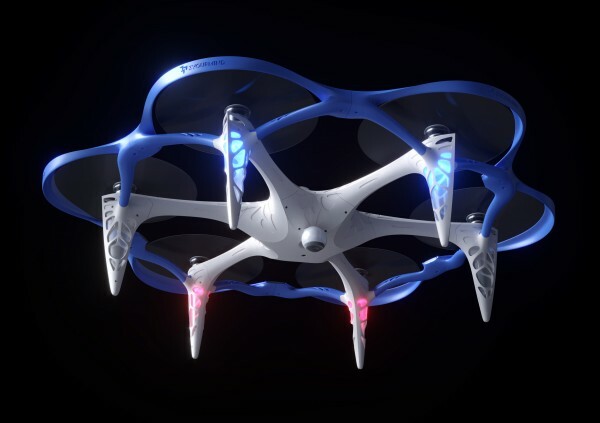 The 3D Printed Drone, designed for production with SLS and FDM technologies, aims to highlight the lack of restrictions limiting designers who use AM. 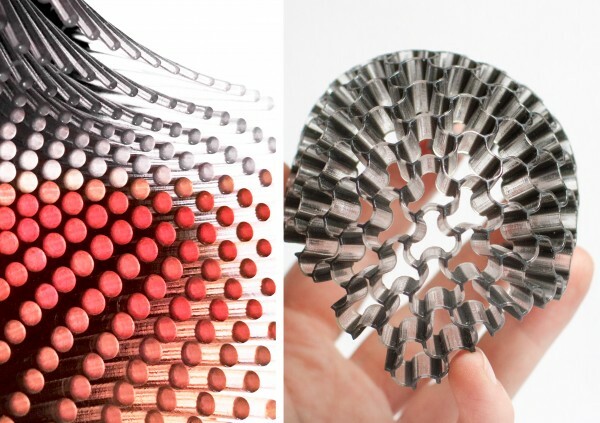 Hormone Couture presents a 3D printed wearable technologies that aesthetically respond to human reproductive hormone and body temperature changes. 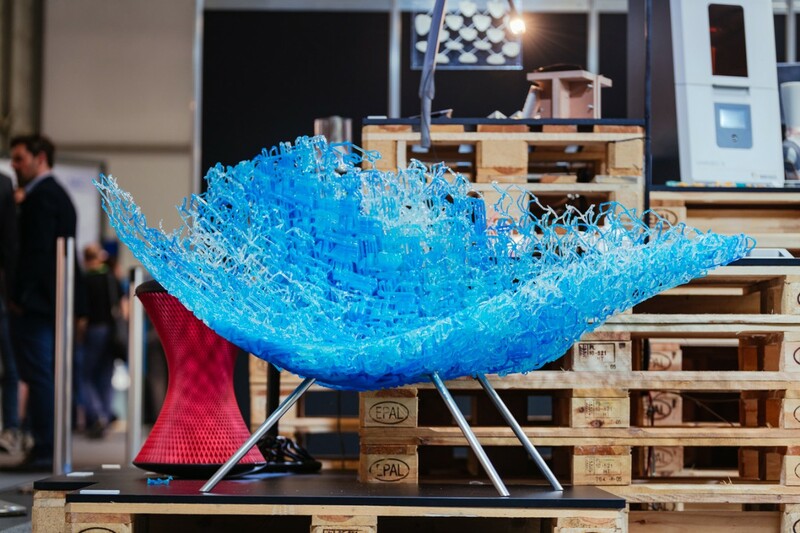 Okkasion: a process and mix of material from recycled glass and a support material to produce and form glass by accessible means. 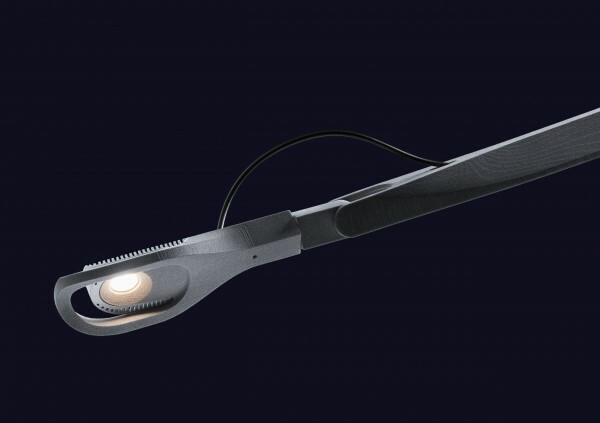 ALL IN is the world´s first, entirely 3D printed task light, laser sintered from one material, in one place and in one go - already preassembled. 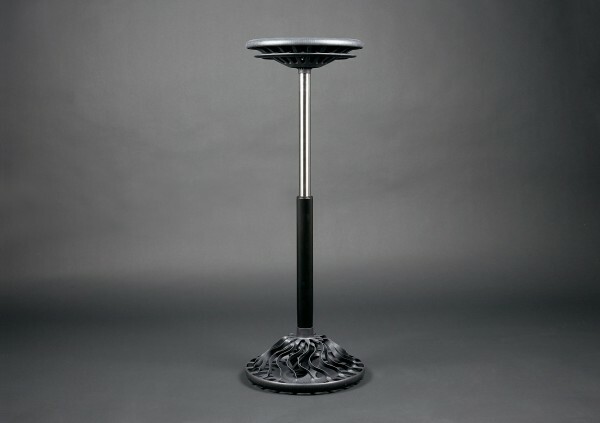 Robotically 3dprinted stool designed by Ross Lovegrove for Nagami´s first furniture collection. 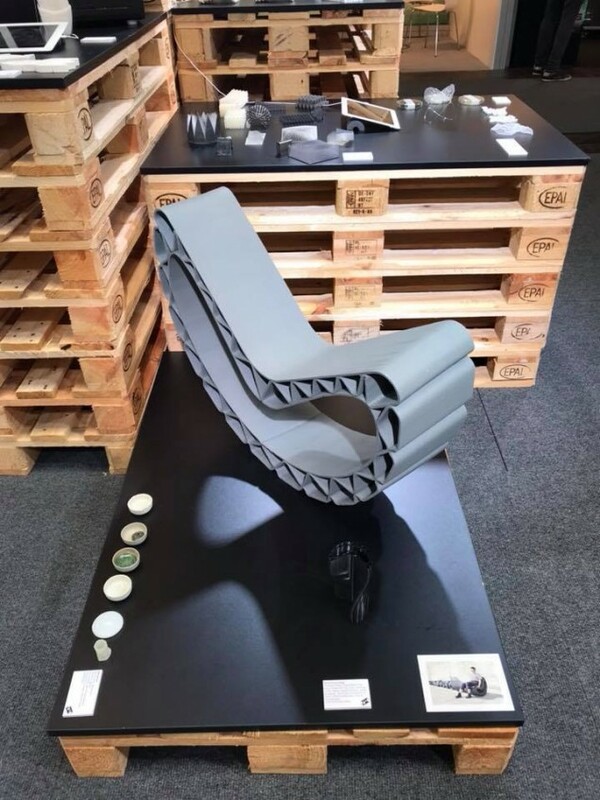 Launched at Milan Design Week 2018. Flexa is a sports-bra, which is individually fitted to the breast by a body scanning method and 3D print. 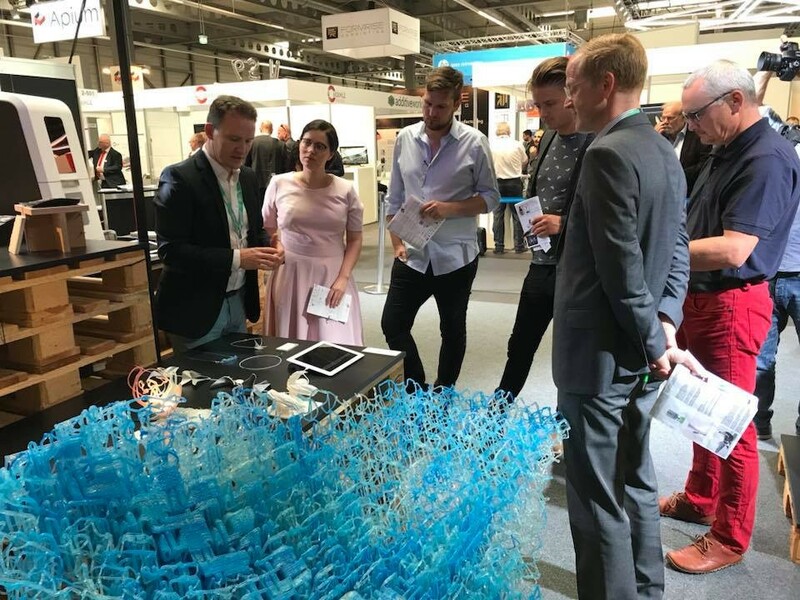 The Cabin brings together many material, software, and hardware experiments to demonstrate the potential of additive manufacturing in architecture. Combination of several methods (video, motion capture) to capture and abstract the movements of the artform breakdance in three-dimensional space. An additively manufactured and gas-driven burner-unit for outdoor applications which is integrated into a mobile kettle – That’s PeakBoil. 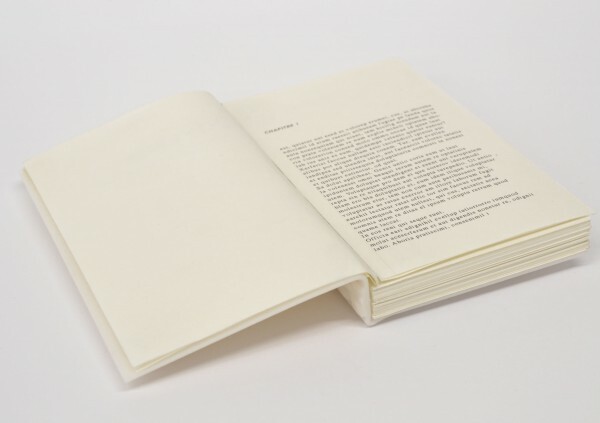 3D book binding inspired by old craft technics. 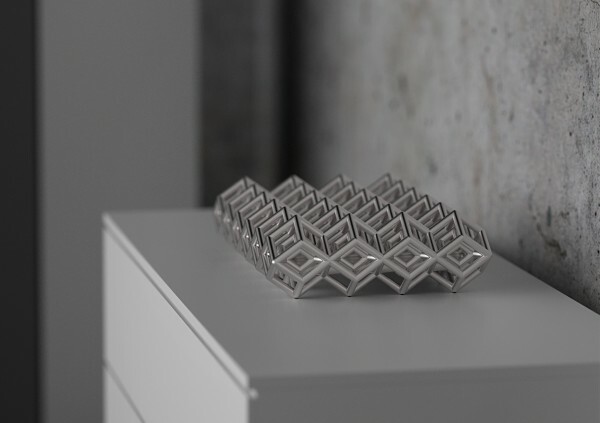 MX3D 3D printed a fully functional stainless steel bridge for the city center of Amsterdam. A combined pressure and temperature measurement rake for aircraft engines withstands temperatures up to 1000°C. 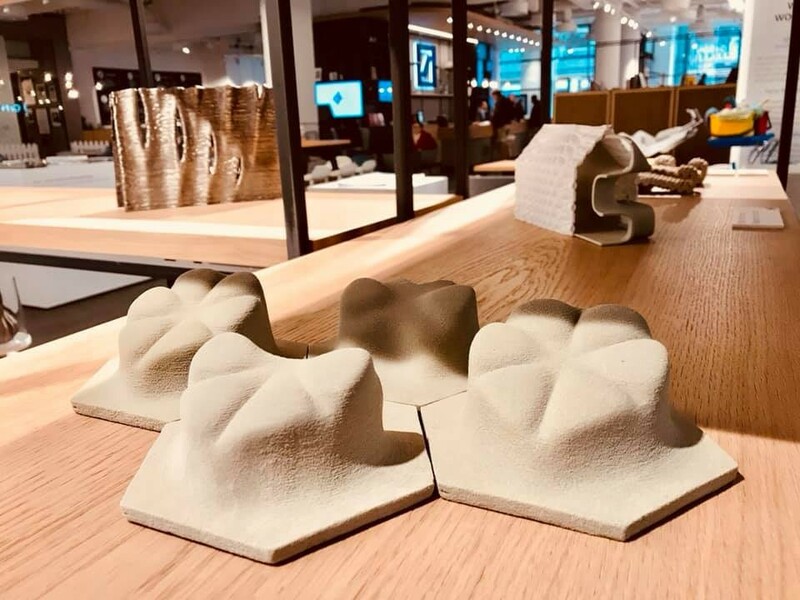 The Mycelium shoe challenges the usual conventions of footwear, expanding from the parameters of the foot to create a form limited only by physics. A test model for an educational supersonic wind tunnel featuring part integration- fluidic channels, lattice reinforcement and mounting provisions. This research was conducted on the production of biobased and smart printing material for additive manufacturing from the renewable material algae. With the 3D printer Varseo S, BEGO enables laboratories a fast and flexible production of different dental indications out of resins. 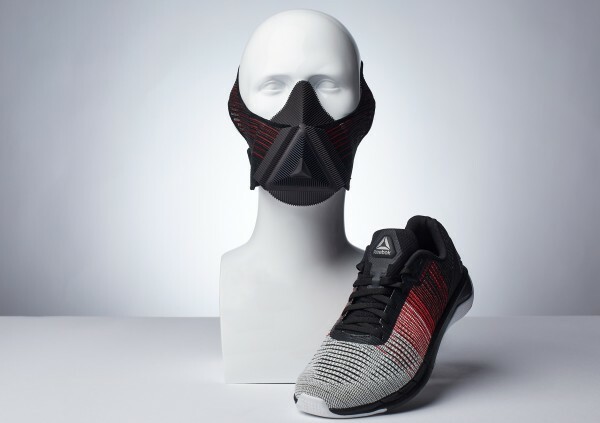 Modla worked with Reebok to produce a 3D printed altitude mask for athletes, as part of the launch of their new Flexweave running shoe. 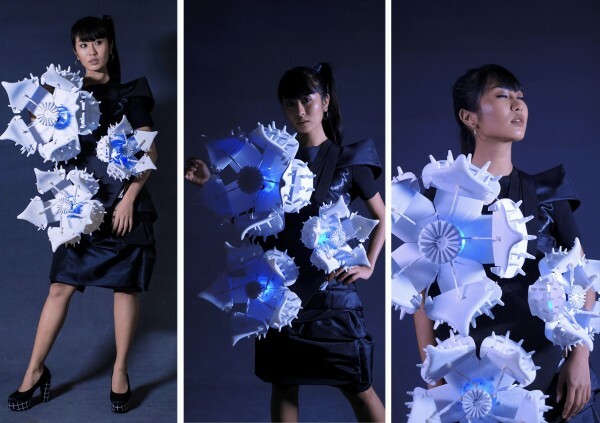 Loom is an expandable, adaptable, wearable and flexible 3D printed dress that adapts to all body types and body changes. 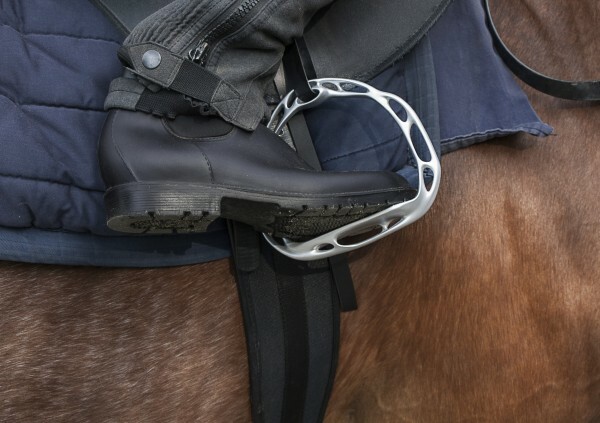 Lightweight horse race stirrup optimized through generative calculation. 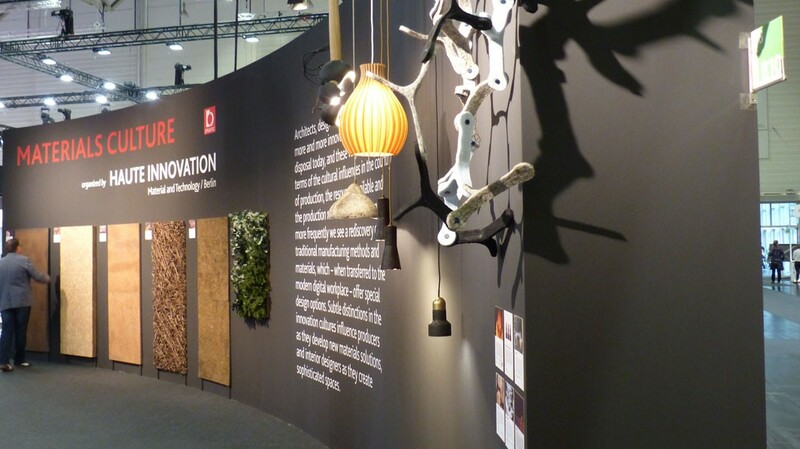 SHADER is a concept for a visual and sun protection system that can be customized. 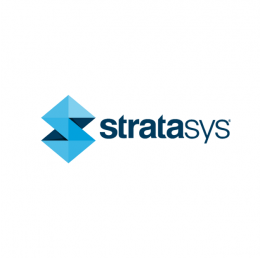 Before printing the size of the system will be minimized up to 80%. Fittle is a 3D-printed Braille puzzle. 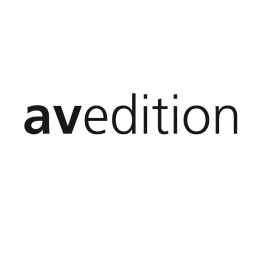 A new way for the blind and visually impaired to learn and discover. Fittle models are open source to download. 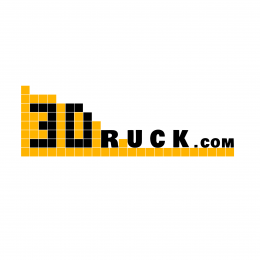 Brings together 3d printing and industrial production on the base of customized products requirements. 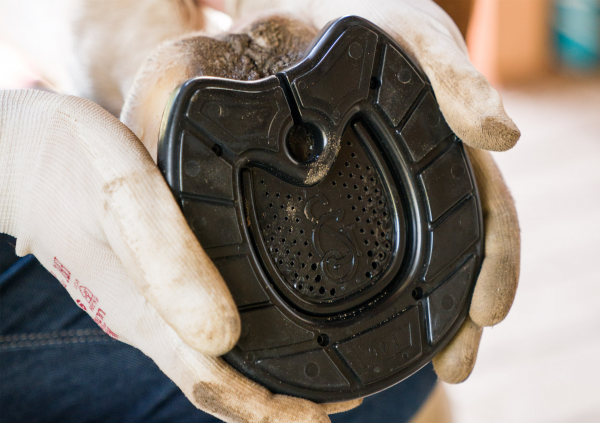 The project "Goodsmith"was launched in 2016 to enable the creation of the world’s first 3D printed hoof shoe. 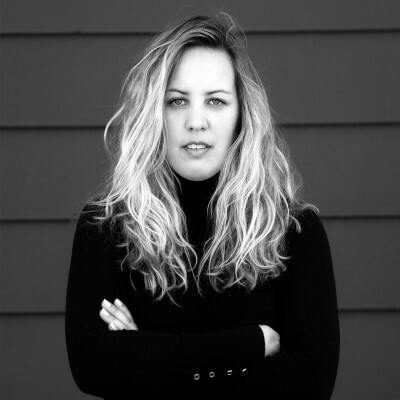 Diana Drewes is a cabinet maker by trade and has studied product design at the Weissensee School of Art in Berlin. 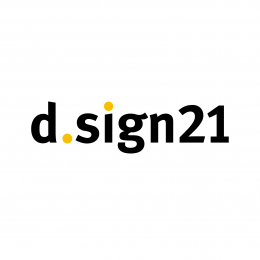 Besides the management of all design projects of the agency she proves herself by her consolidated expert knowledge by making inquiries on market trends and giving lectures. Her thematic main focus is the close linking of technology and biology. She speaks of "biologized production and design processes" and understands the far-reaching success of future innovations at this interface. In her lectures she is presenting the latest material innovations on the basis of natural resources and explaining production processes by exploiting biological growth processes. 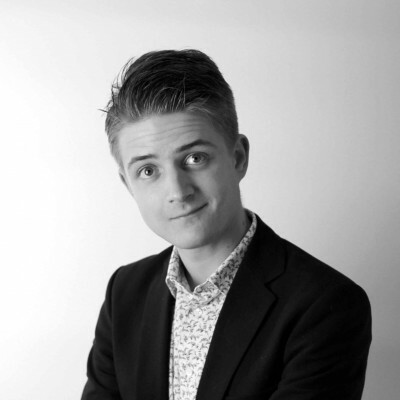 Sven is a digital modeler, mainly focused on automotive design, specialized in conceptual and algorithmic 3D modeling. 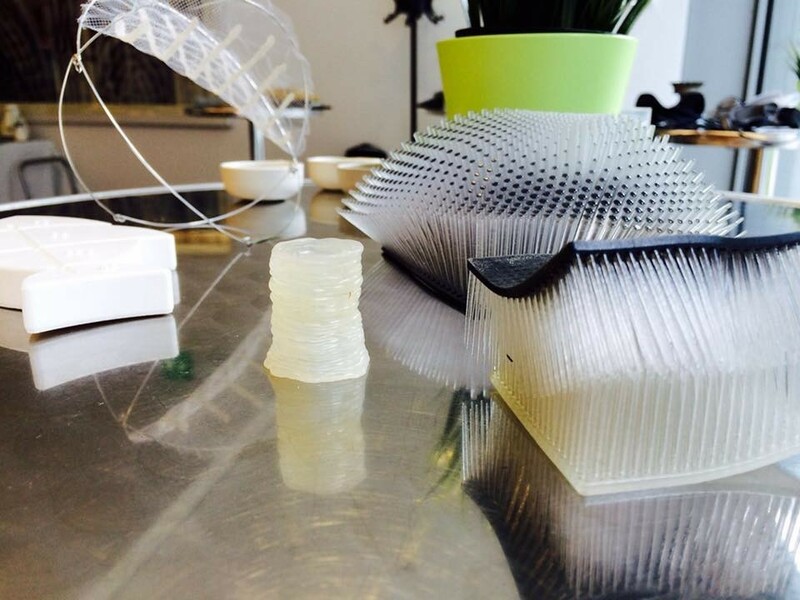 He uses the potential of additive manufacturing in a unconventional way. Currently he is living in Los Angeles, California and works in the Tesla Design Studio. Barbara Friedrich is a journalist, since the early 1980s specialized in design. 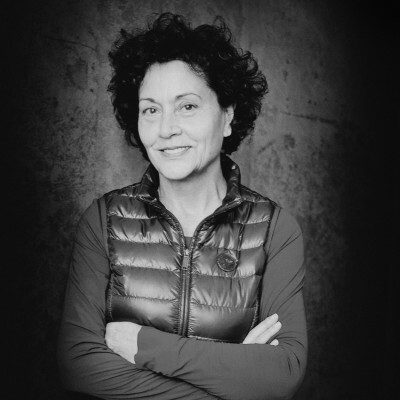 She has been editor-in-chief of the magazine Architektur & Wohnen for the last 17 years. She is the initiator of the digital platform „A&W-Designtalente" as she is has a big heart for newcomers. Since 2016 she is independent as writer, speaker, moderator and jury-member. 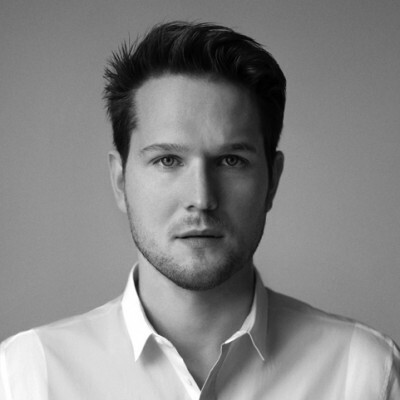 Sebastian Herkner studied product design at the HfG Offenbach am Main (Offenbach University of Art and Design), already focusing during his studies on designing objects and furniture merging various cultural contexts, combining new technologies with traditional craftsmanship in order to highlight the multifaceted beauty of the materials and draw renewed attention to small details. 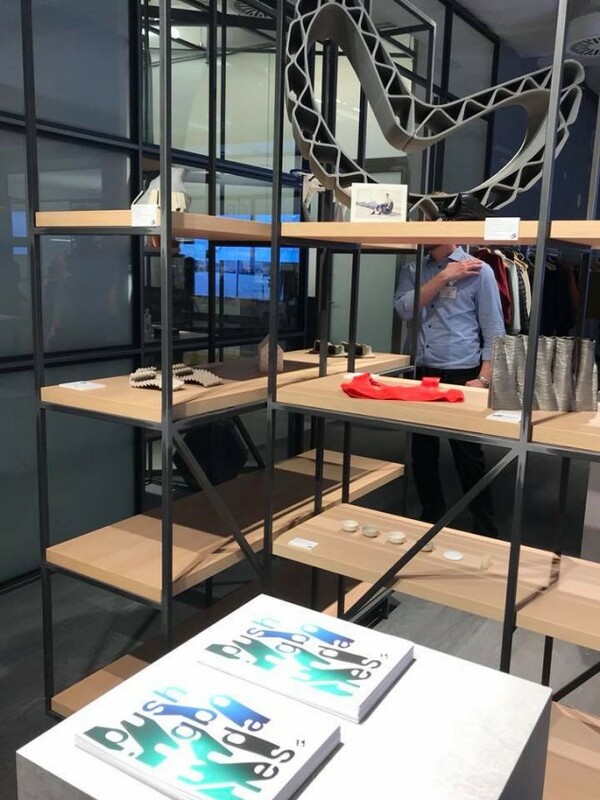 Whilst still a student, Herkner did an internship with Stella McCartney in London, which helped to hone his feeling for materials, colours, structures and textures. 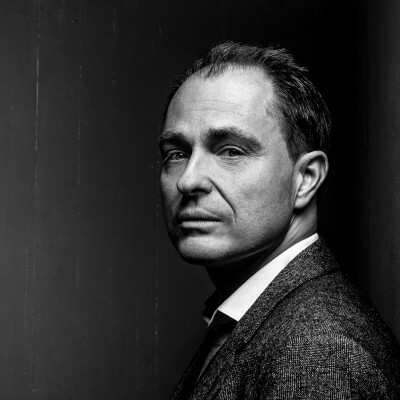 Since founding his own design studio in Offenbach am Main in 2006, he has designed products for manufacturers such as ClassiCon, Dedon, Fontana Arte, Moroso, Pulpo and Rosenthal as well as working on interior design projects and for exhibitions and museums. 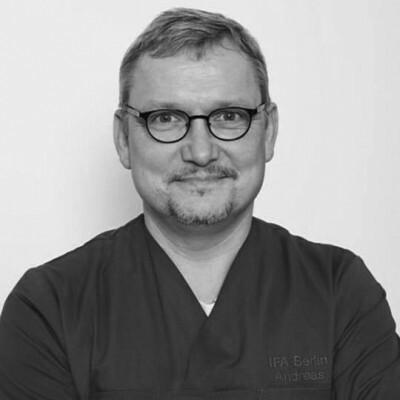 Since 2007 he has taught several courses at HfG Offenbach am Main as visiting lecturer. His designs have received multiple prizes. 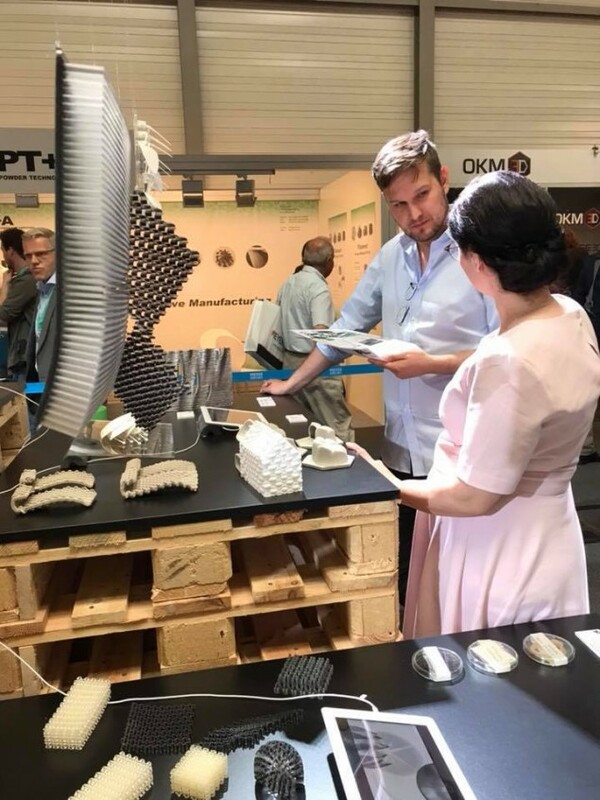 Julia Körner is an award-winning designer working at the convergence of architecture, product and fashion design - specialised in additive manufacturing and robotic technology. Her work stands out, recognised at the top level of these disciplines, where it has been featured internationally in world-renown museums, institutions and publications. 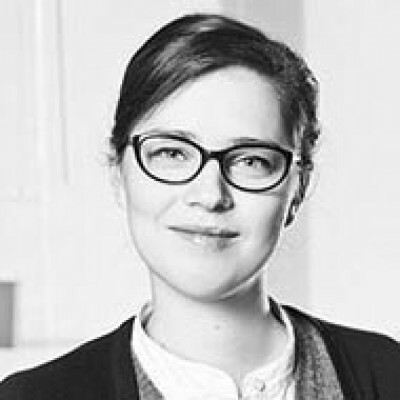 She is founder and director of JK Design GmbH. 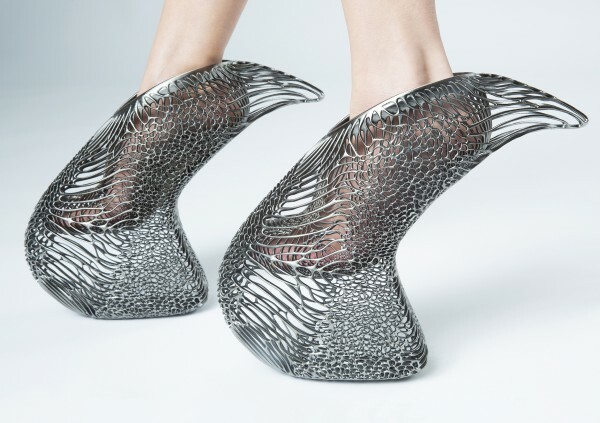 Her recent collaborations involved 3D-Printed fashion pieces developed with Haute Couture Houses for Paris Fashion weeks and Hollywood Entertainment Productions. Julia is a graduate of the Architectural Association, London and University of Applied Arts, Vienna; she is a faculty member at the University of California, Los Angeles. Professor Achim Menges, born 1975, is a registered architect and professor at the University of Stuttgart, where he is the founding director of the Institute for Computational Design and Construction since 2008. He also is Visiting Professor in Architecture at Harvard University’s Graduate School of Design since 2009. Achim Menges practice and research focuses on the development of integral design processes at the intersection of morphogenetic design computation, biomimetic engineering and computer aided manufacturing that enables a highly articulated, performative built environment. 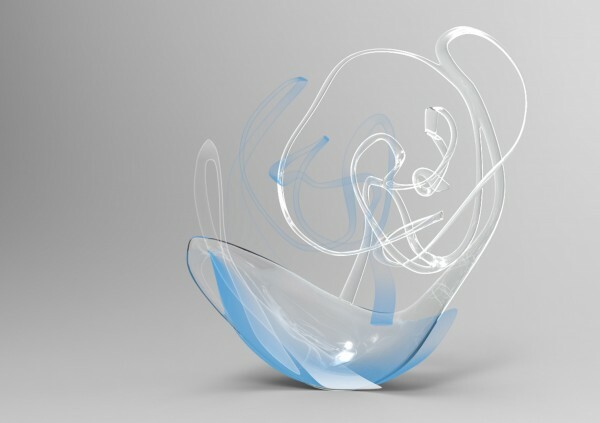 His work is based on an interdisciplinary approach in collaboration with structural engineers, computer scientists, material scientists and biologists. 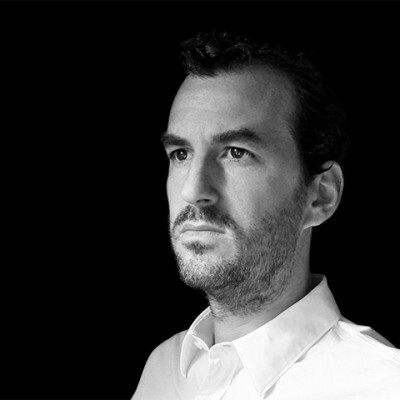 Achim Menges has published several books on this work and related fields of design research, and he is the author/coauthor of numerous articles and scientific papers. 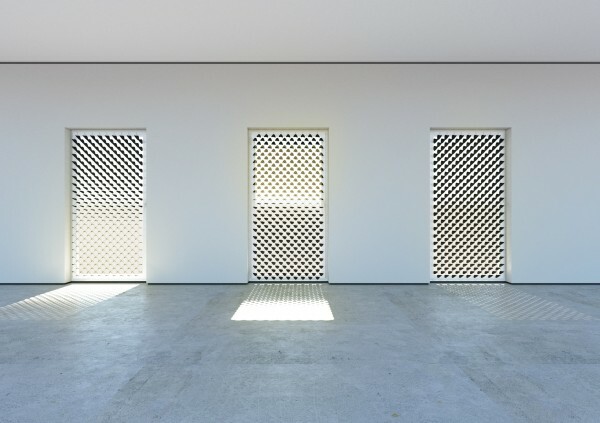 His projects and design research has received many international awards, has been published and exhibited worldwide, and form parts of several renowned museum collections, among others, the permanent collection of the Centre Pompidou in Paris. 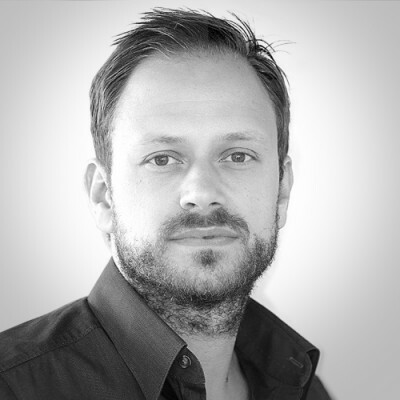 Achim Menges is a member of several international research evaluation boards and a member of numerous scientific committees of leading peer-reviewed international journals and conferences. 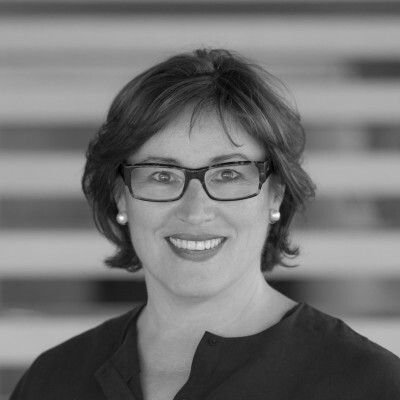 Silvia Olp is the vice management of the aed, e.V., aed Society for Advancement of Architecture, Engineering, Design Stuttgart. 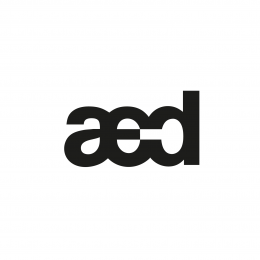 She initiated the aed neuland, which is an award for young designer and she is head of communication for Phoenix Design Stuttgart/Munich. 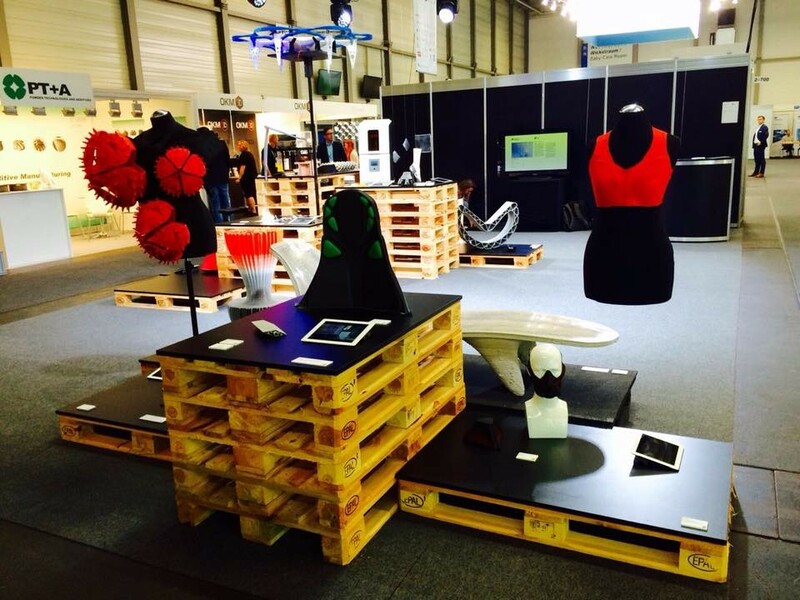 Her interest regarding technology and design is the aim to popularize it. Newcomers are close to her heart. 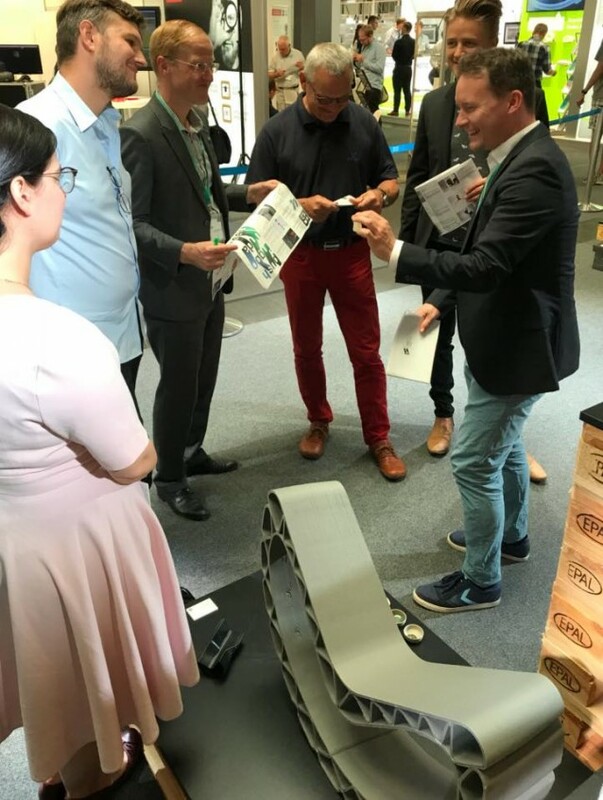 Dr. Dirk Simon is director of the FARSOON Europe GmbH since April 2018 and therefore part of the global management team of the holding company in China. 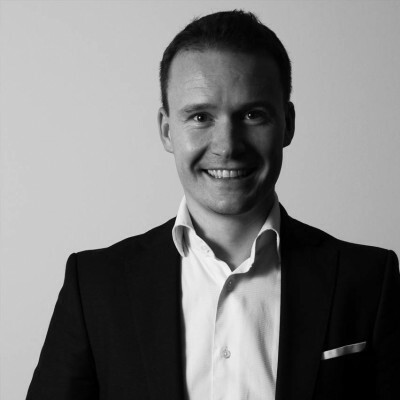 He is responsible for the business in Europe regarding machines for laser sintering of plastics and metal powder as well as technical services. 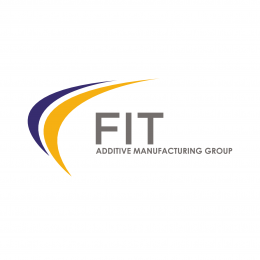 He supports the approach of Farsoon “Open For Industry" for a wider industrial use of additive manufacturing. 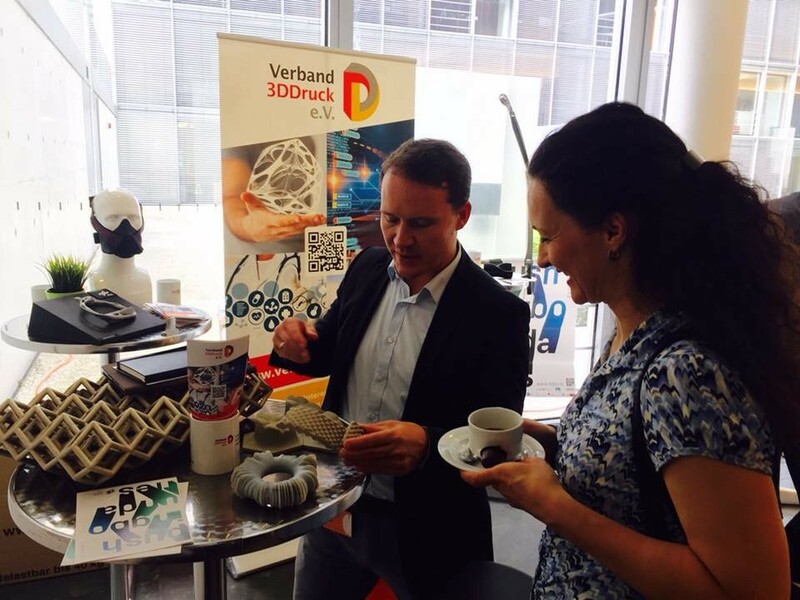 Before he worked in BASF for almost 6 years, and pushed the topic "3D-Printing at BASF". 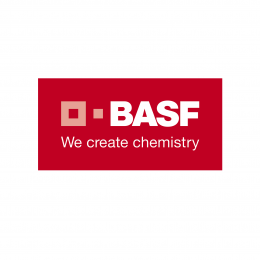 In 2012 starting with leading the New Business Incubation, he finally was responsible for the Business Development of BASF 3D-P solutions, including 3D-P application technology – as Global Business Director. He holds a PhD-degree in Polymer Science and has 23 years working experiences in Applications of Plastics, Marketing & Sales, and Purchasing in various chemical companies. 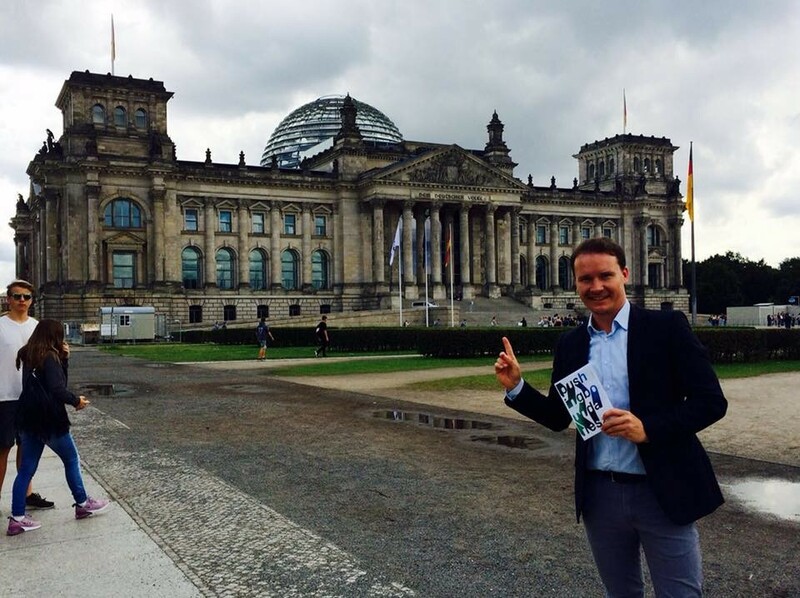 Joachim Stumpp is architect and director of the raumPROBE Stuttgart. 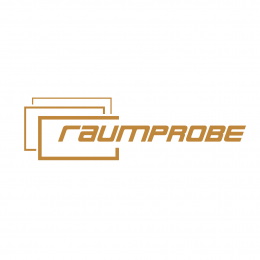 raumPROBE is the agency for consulting and research in the field of materials for architecture and design. Therefore his interests regarding technology and design are always focused on material innovations. 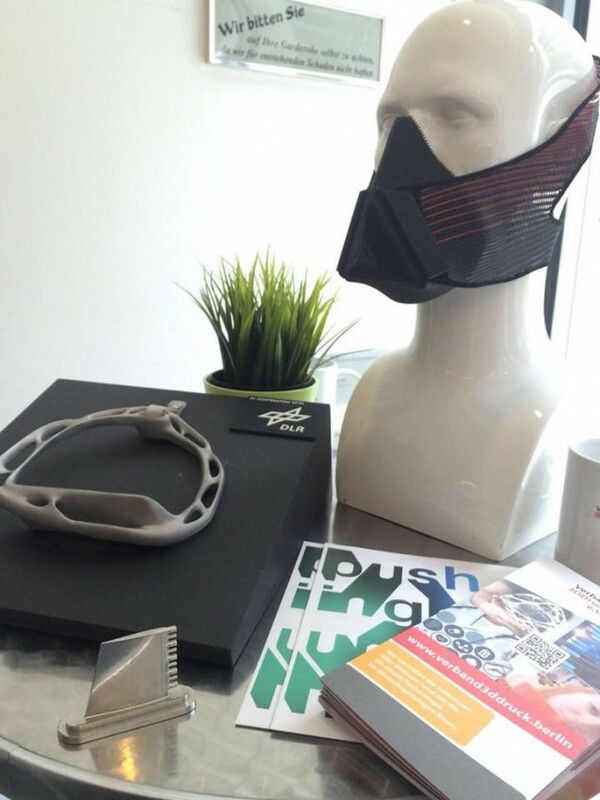 Specialized in individual respiratory breathingmasks, medical demo-models, individual bone- and titanium- implants, special medical solutions, special orthopedic devices and prototyping in additive manufacturing. 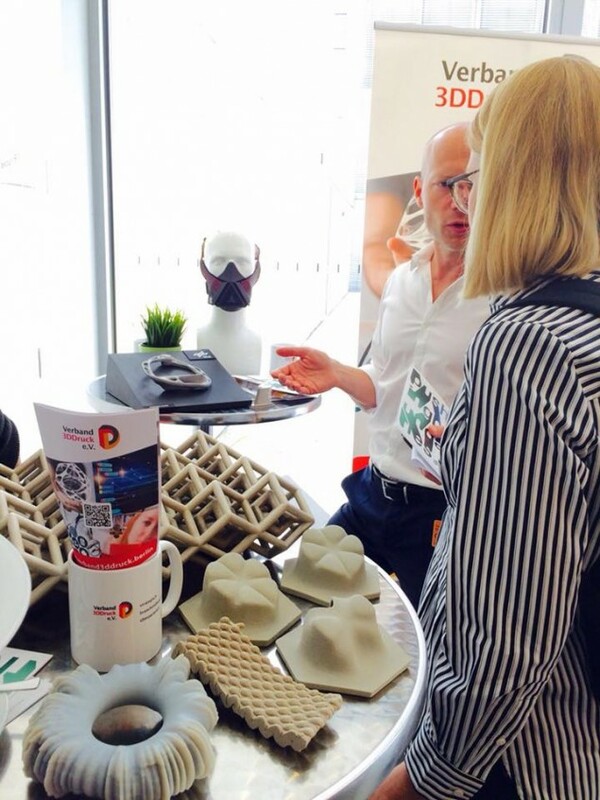 Since almost 20 years he combines design with new technologies like the additive manufacturing. 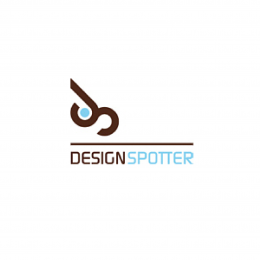 He links this passion in his design as well as in his work as consultant. 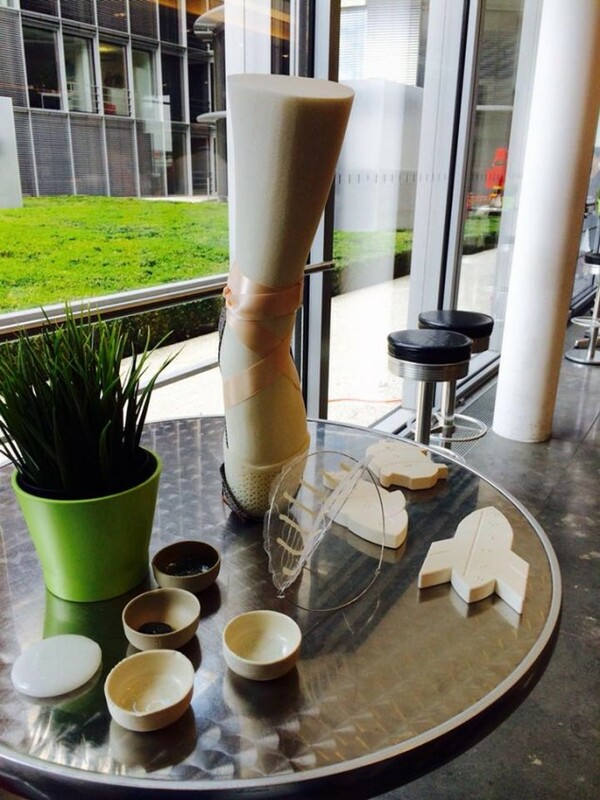 His interest lays in the conceptual direction and the opportunities that result from 3d printing. 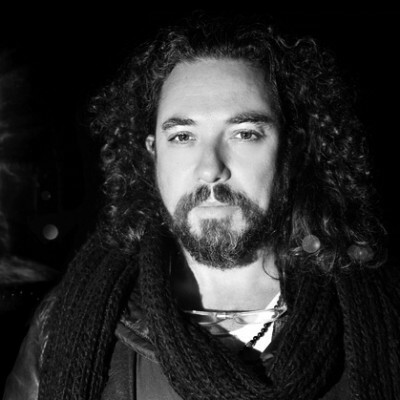 Wolf U. Wagner, Industrial Designer; Founder of Studio Wagner:Design; Director Industry of German Designer Club (DDC); Creative Director of several international brands, awarded in 42 awards, member of different juries, has been working with generative processes for prototyping for the last 18 years and recently also for serial production. 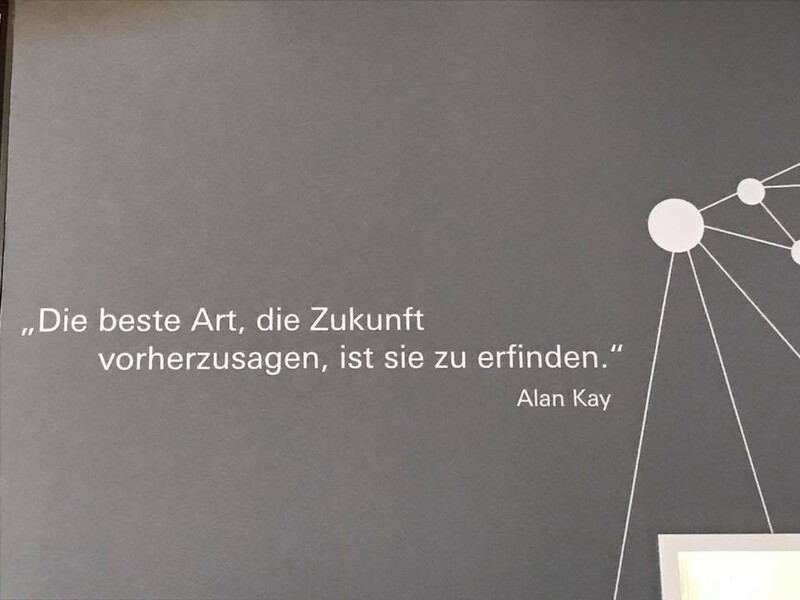 Wolfs credo as designer: I create the space between the things. 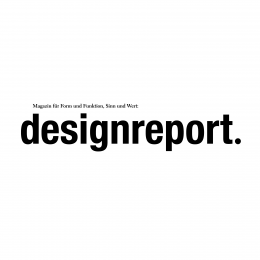 Studio Wagner:Design is a creative agency based in Frankfurt/Main for product development, UX design and strategic planning. 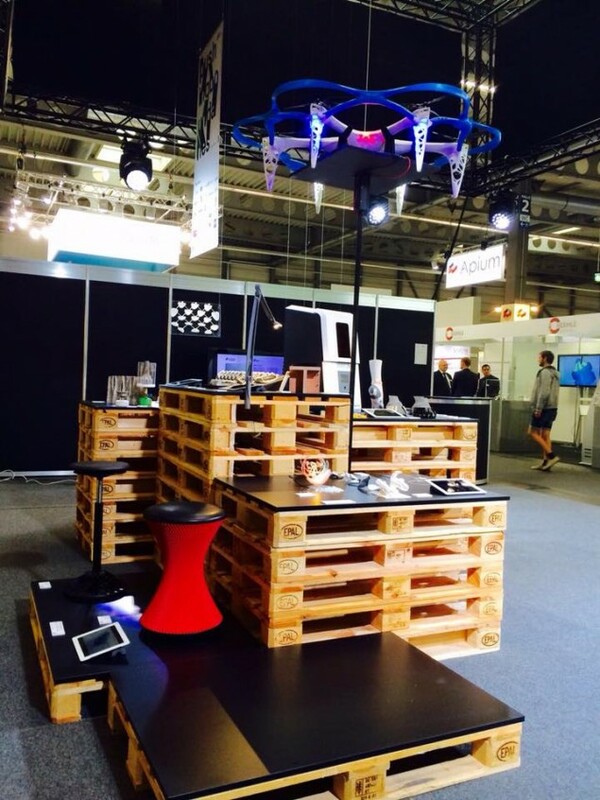 Work areas are in the fields of electronics & entertainment, IoT, sports equipment and others. 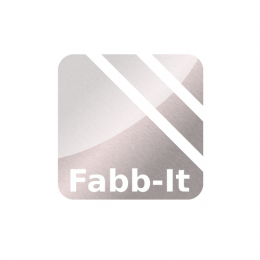 The company operates according to its own methodology of design thinking and strategic planning. 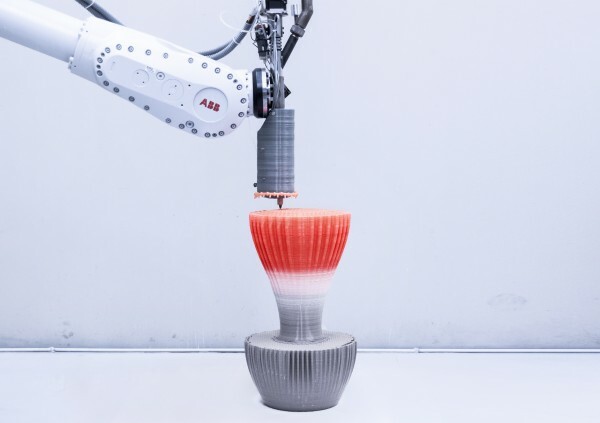 3D printing (external and in-house) belongs to the performance of the studio from the beginning, turning from rapid prototyping to generative manufacturing. 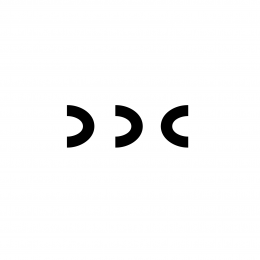 The German Design Club (DDC) was founded in 1989. 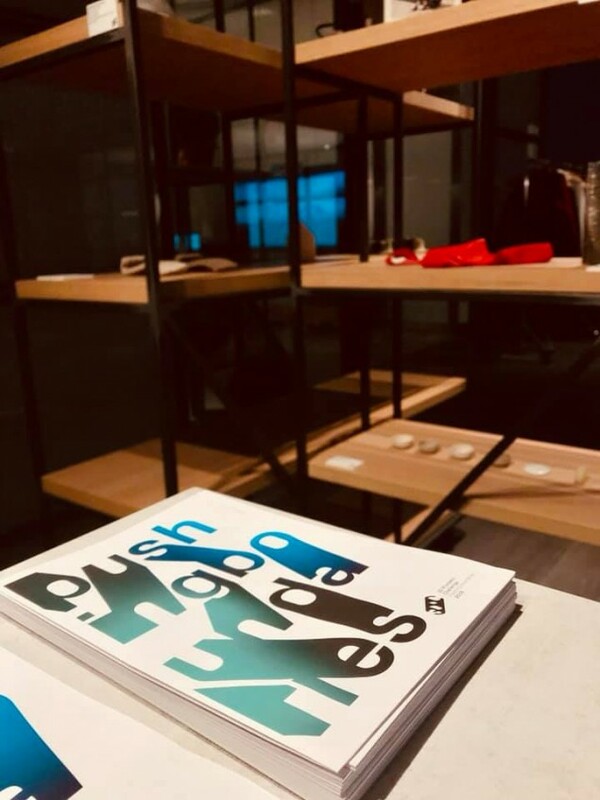 DDC is an initiative that combines "good design" as well as "good designers" from design, architecture, media and those who are committed to this. 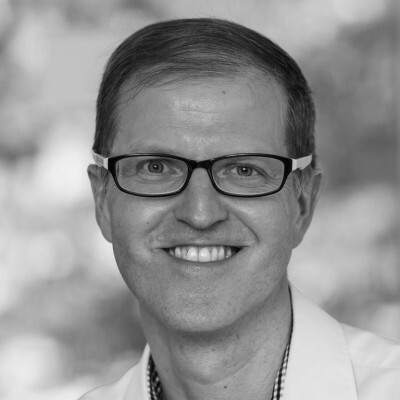 Wolf Wagner is Director of the German Design Club. 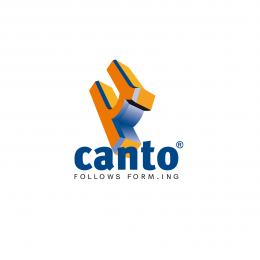 His aim is to promote the dialogue between creative developers and representatives from engineering, industry, trade. 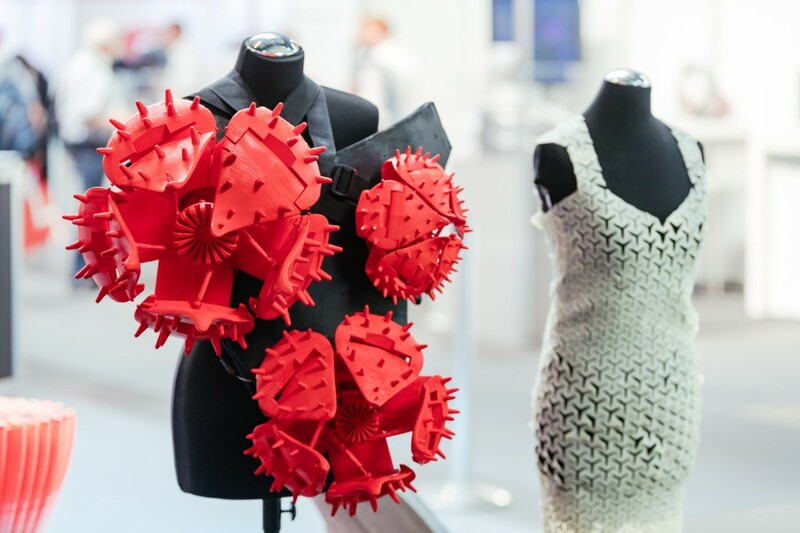 Dutch FashionTech Designer Anouk Wipprecht engineers fashion ahead of her time, combining the latest in science and technology to make fashion an experience that transcends mere appearances. She wants her garments to facilitate and augment the interactions we have with ourselves and our surroundings. Her Spider Dress is a perfect example of this aesthetic, where sensors and moveable arms on the dress help to create a more defined boundary of personal space while employing a fierce style. 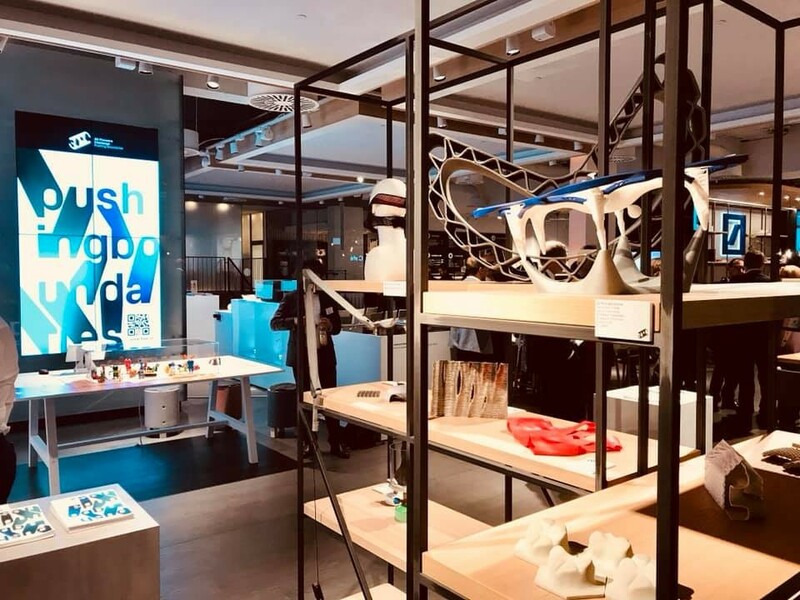 Partnering up with companies such as Intel, AutoDesk, Audi, Samsung, and jewellery company Swarovski she researches how our future would look as we continue to embed technology into what we wear. 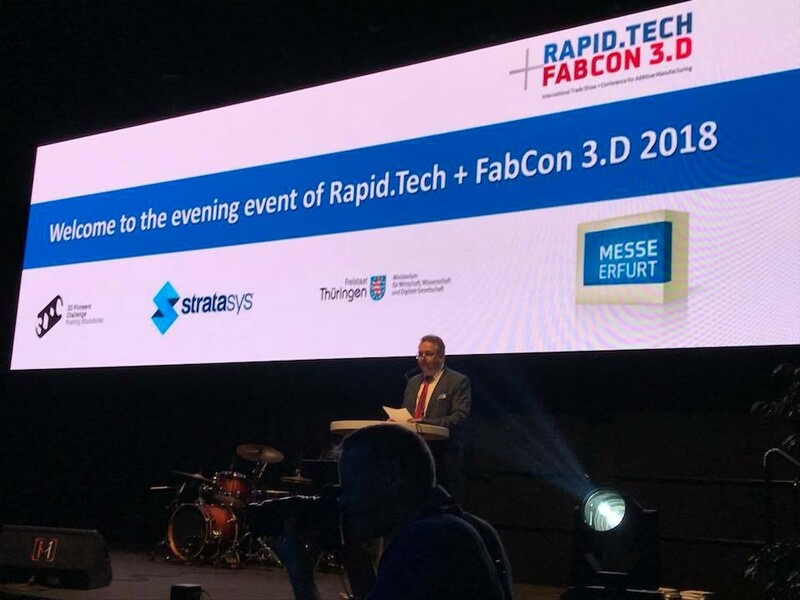 The Messe Erfurt presented the 3DPC Finalists at the special area at Rapid.Tech + FabCon 3.D. 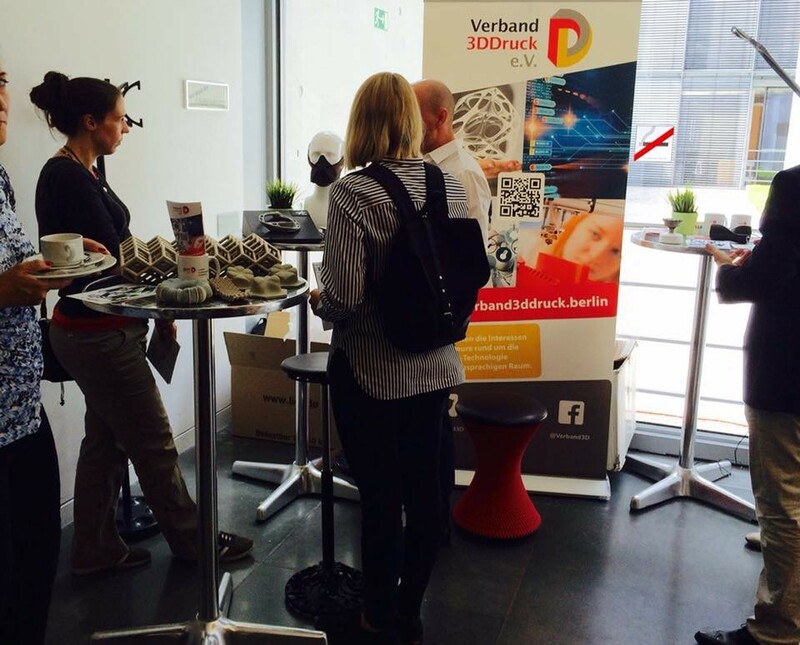 Further Roadshowstops together with the partners of 3DPC followed throughout the year. 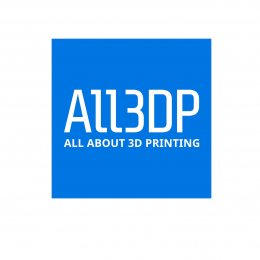 The 3d print or better the additive manufacturing is a technology of the future, that will change our economy, science and every day life essentially. 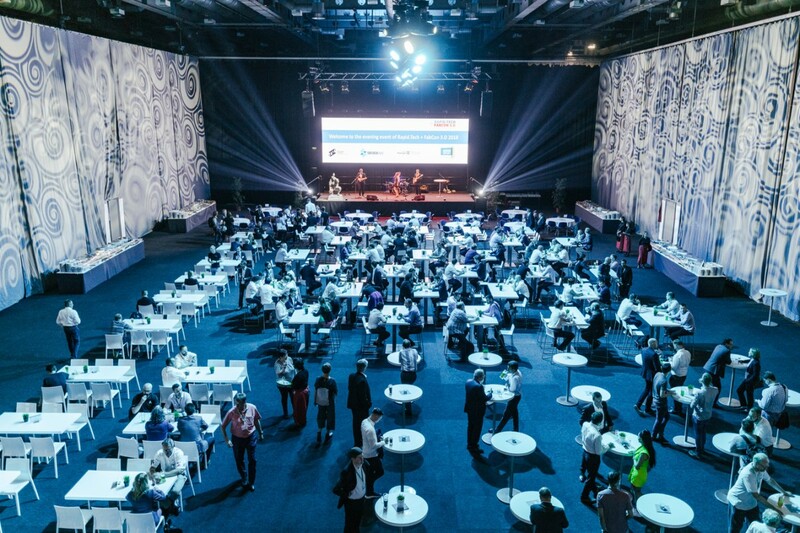 Commonly one speaks about the Industry 4.0, to which AM belongs. 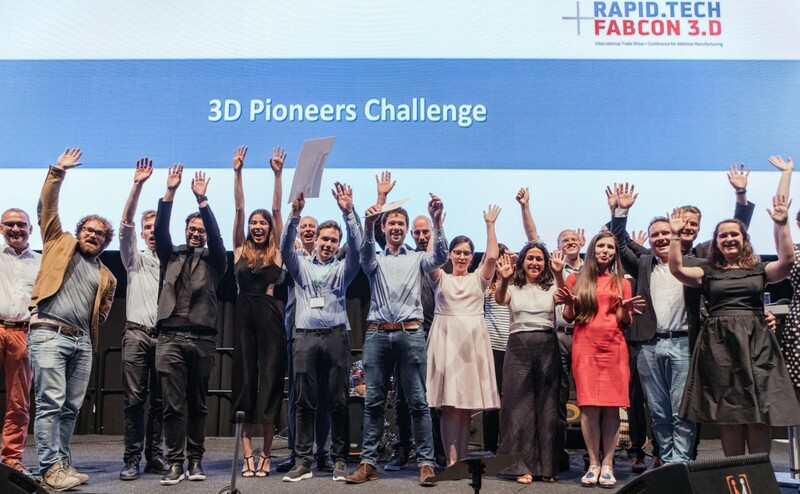 Christoph Völcker will present there winners and finalists of the 3D Pioneers Challenge 2018. 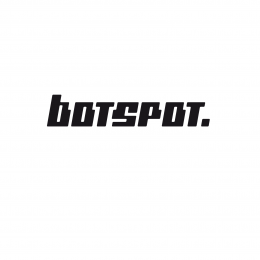 Our 3DPC Partner Botspot presents projects of 3D Pioneers Challenge 2018 at an european industrial event in Hangzhou near Shanghai, China. 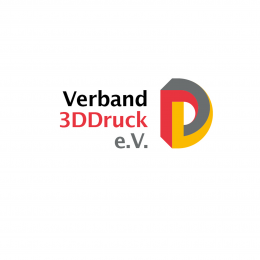 We present 3DPC 2018 with our partner Verband 3D Druck. 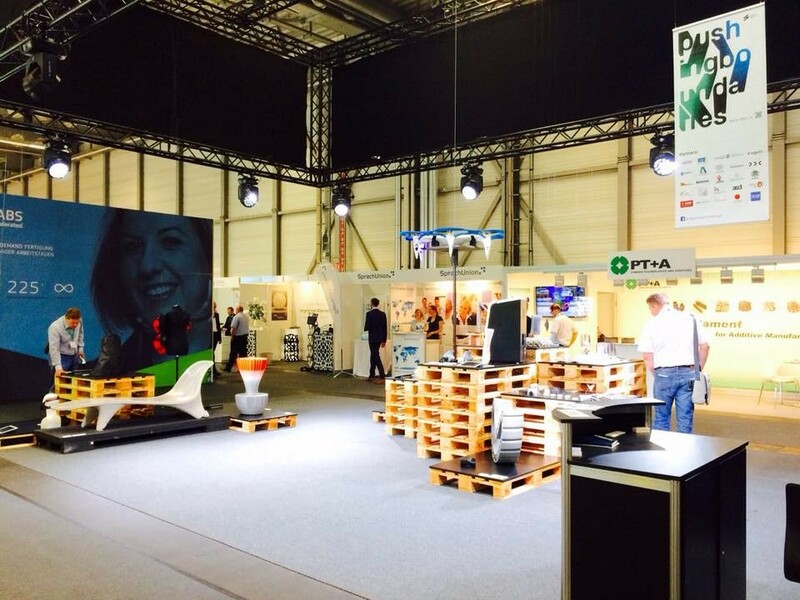 3DKonzeptLab of this year (#3DKL18) unites the 3 topics Networking, Expo and Positions. 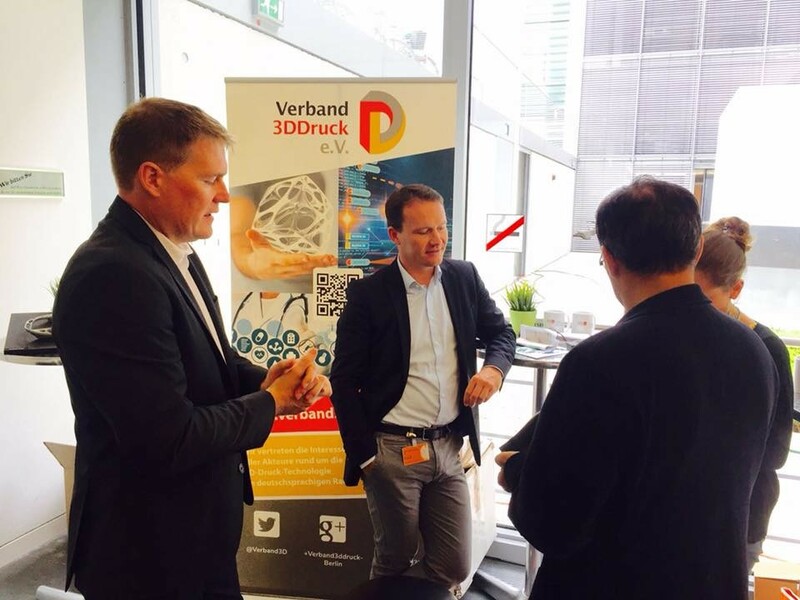 Great programm with the Innovation-Pitch-3D, working groups and highclass keynote speakers! 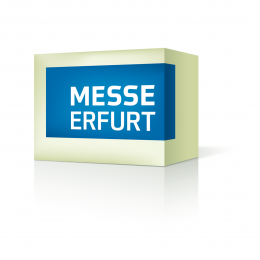 Under the motto "Culture@Work", ORGATEC 2018 is dealing with the development of workplaces in different professional groups, industries and countries. 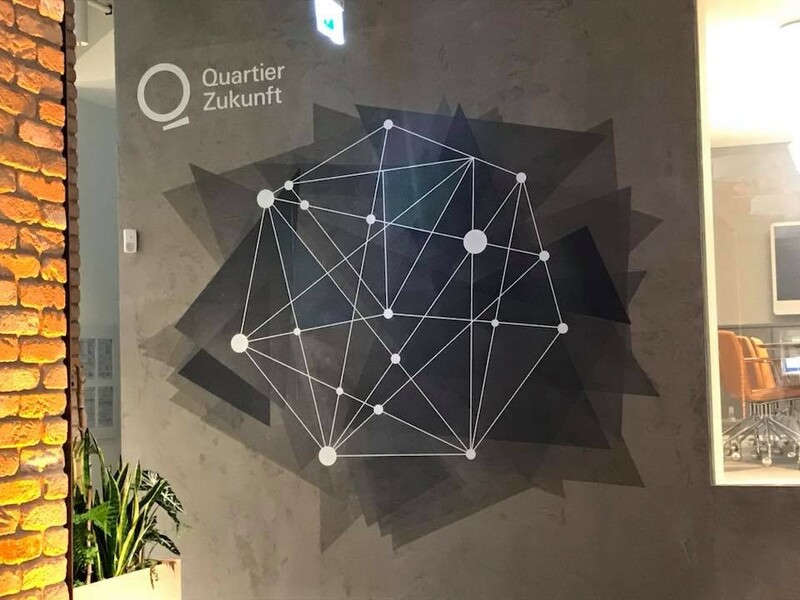 At ORGATEC 2018, Koelnmesse outlines the processes that will change the world of work in future and exhibits new products for interiors. 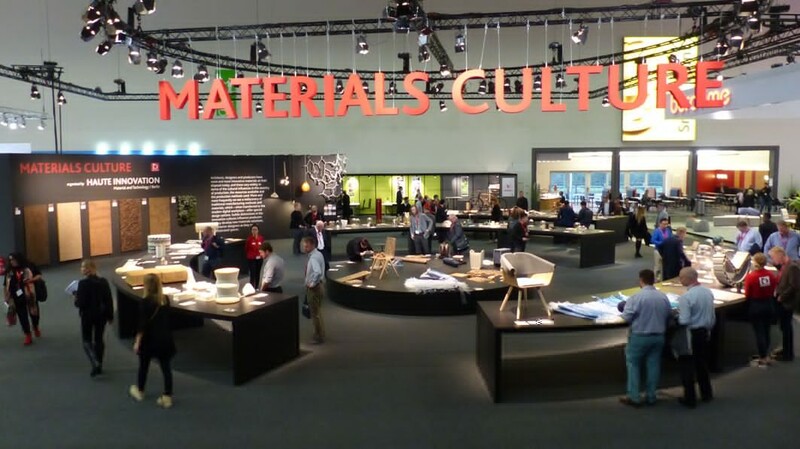 After the huge success of the "Smart Office Materials" special area in the last two editions of ORGATEC, the Berlin-based trend agency HAUTE INNOVATION has been commissioned in 2018 with the realisation of a special area dedicated to "Materials Culture", bringing together the latest innovations on the intersections between cultures for visitors. 3DPC finalists exhibits will be part of the show on 500 sqm. 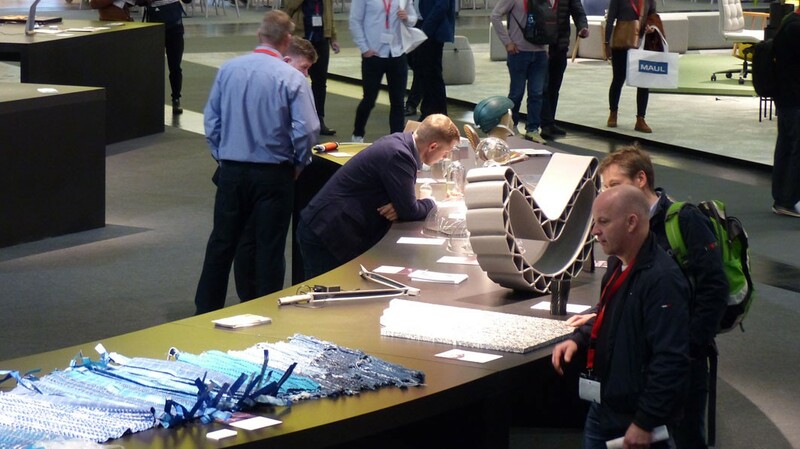 The Elmia Subcontractor trade show in Jönköping is the leading tradeshow for technical supply industry of the production branche in Northeurope and Scandinavia. 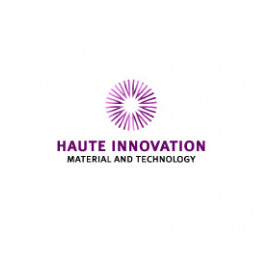 For the sixth time Haute Innovation organizes the secial exhibition space with trends and actual material developments as well as innovations in technology. 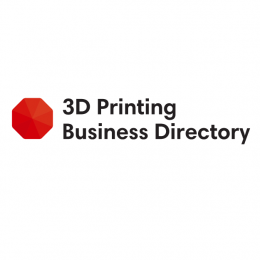 3DPC is on board also for the 3rd year. 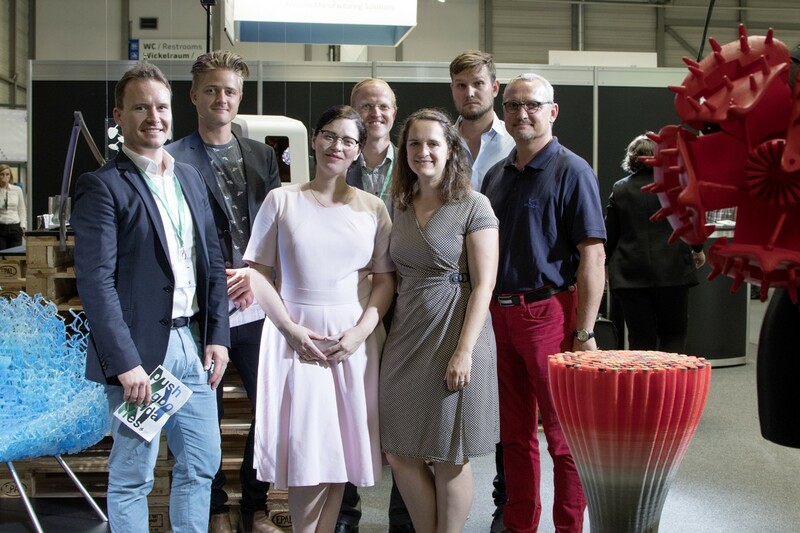 This years focus is sustainability, smart materials, innovative light-weight construction, additive manufacturing and renewable energys. 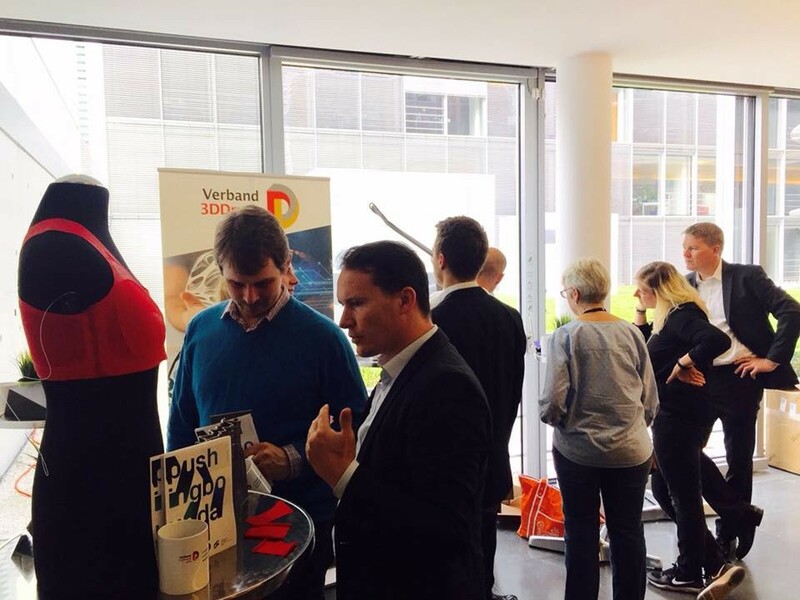 3DPC was happy to support our 3DPC 2019 Partner Würth EiSos Elektronik at the opening of eiCamp at EUREF Campus Berlin with some exhibits of the finalists 3DPC 2018. 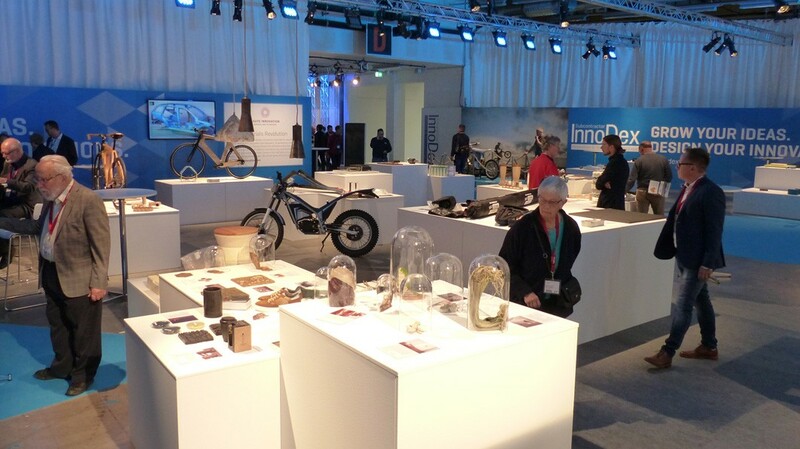 The Make Munich is Southern Germany's largest maker and do it yourself festival. 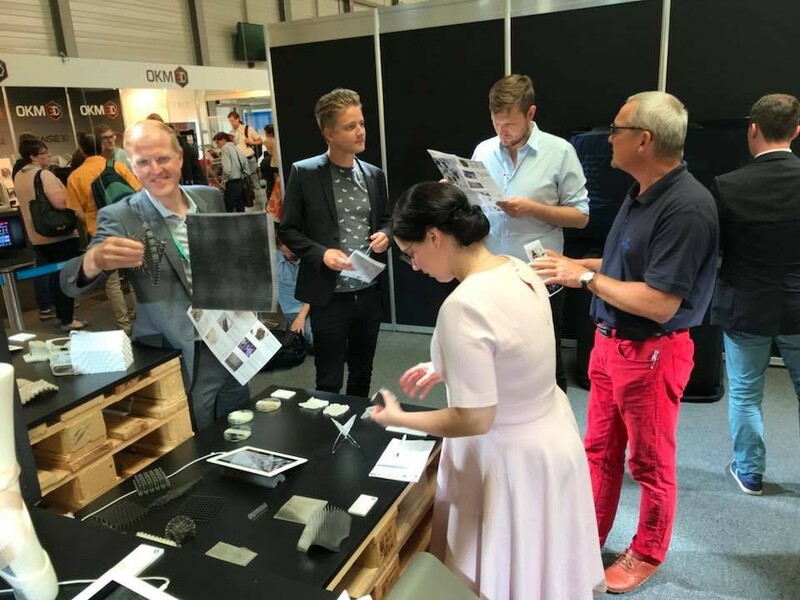 At the two-day event, the innovation-, environment- and technology-conscious makers present their culture and technologies on booths, lectures and workshops. The motto for 2019 is "You can do it too! 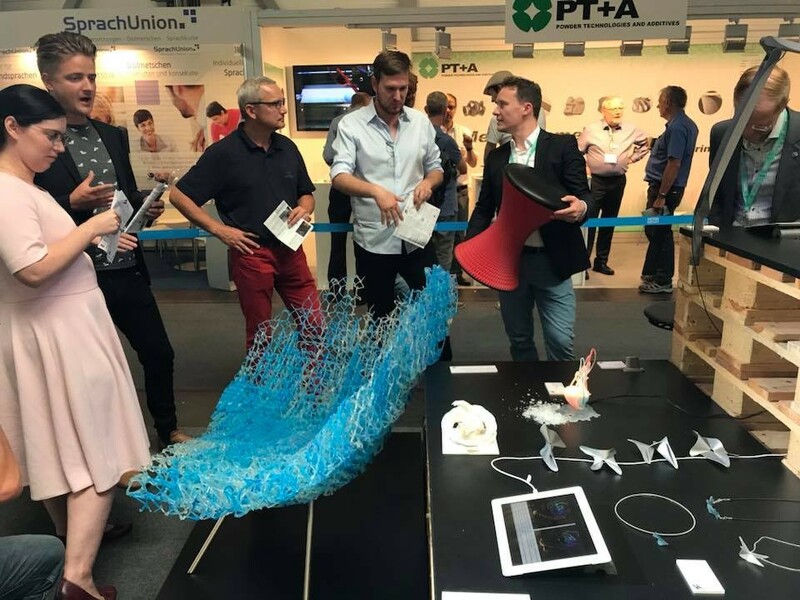 Make Munich is the trade fair for trends and innovations in the fields of high-tech DIY, 3D printing, robotics, hardware start-ups, wearables and technology culture. 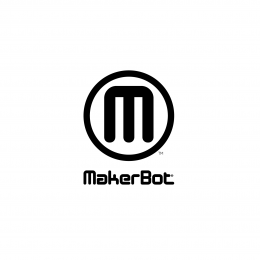 It is the presentation and exchange forum for makers, hobbyists, electronic geeks, designers. 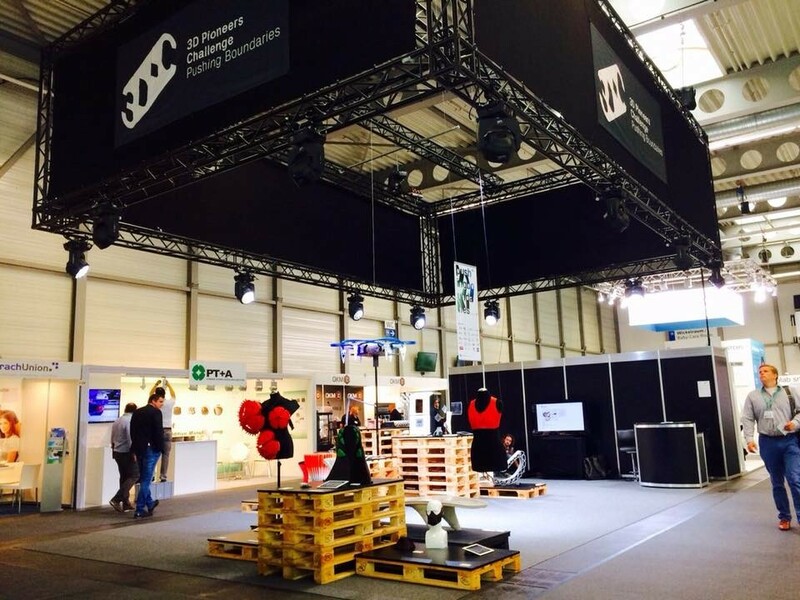 The 3D Pioneers Challenge presents at the Roadshowstop exhibits of 3DPC 2018 together with its partner Würth EiSos Elektronik. We will also present the highlights of the 3DPC at the lecture panel. 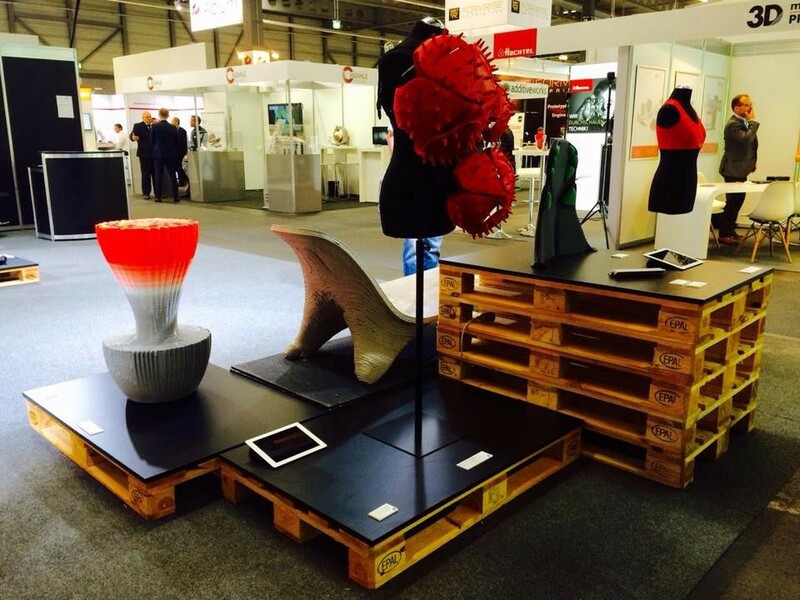 Blickfang, the international design fair has invited the 3D Pioneers Challenge to report on 3DPC with a lecture. 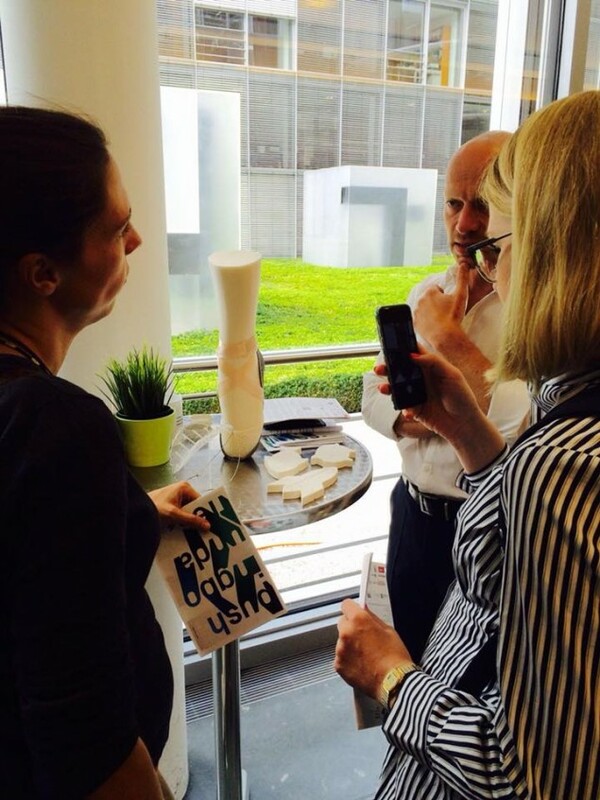 Simone Völcker gives insights into the exciting world of 3D printing and presents the highlights of the recent years. 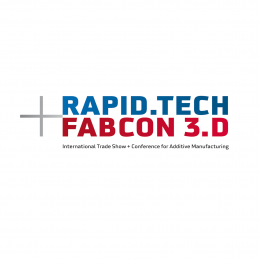 Please notice that the use of this content may only be taken to report about the Rapid.Tech + FabCon 3.D and the 3D Pioneers Challenge. Please mention the sources in publications. If you are interested to use the information for other purposes, we could make the contact to the photogtapher to clarify the rights of use. Here you may download the 3DPC Formalities 2018 .